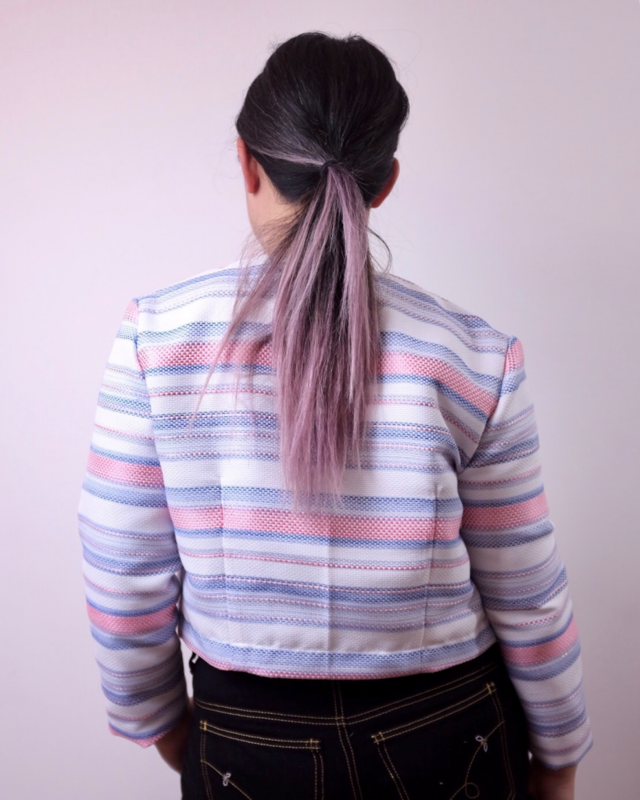 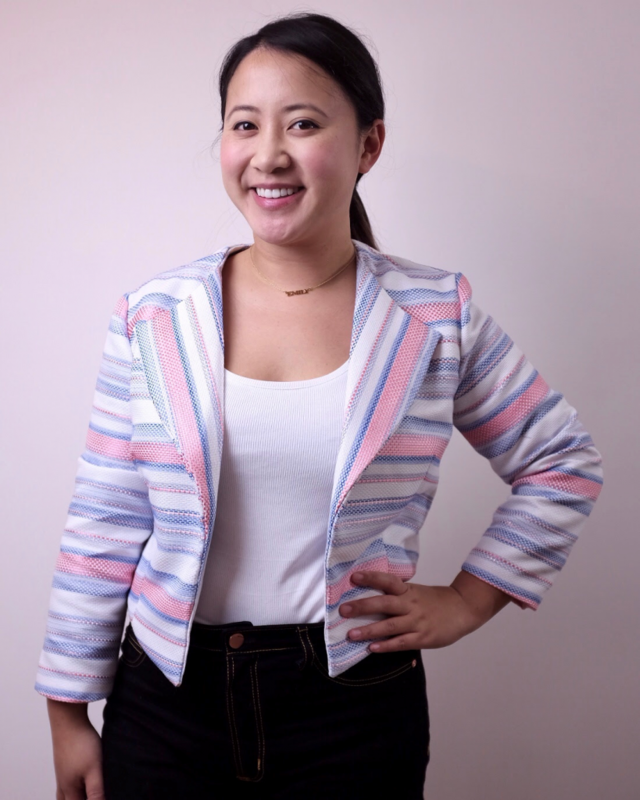 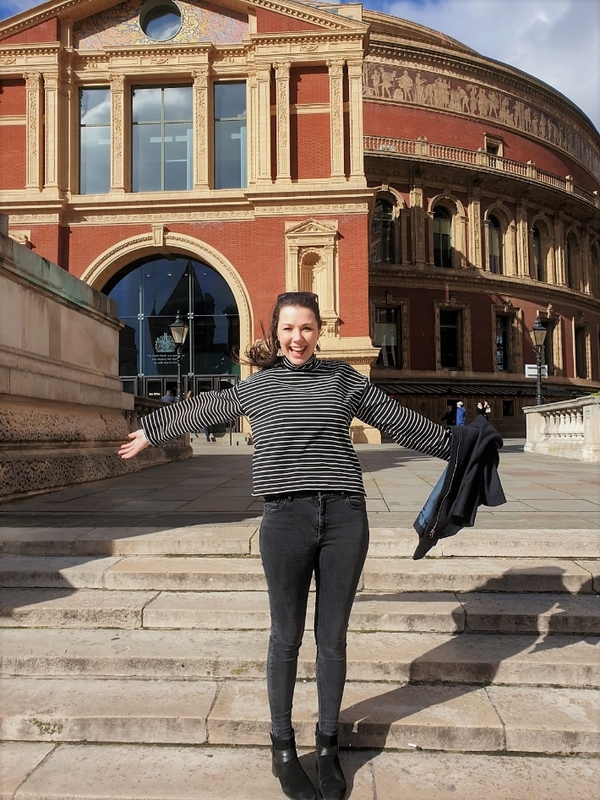 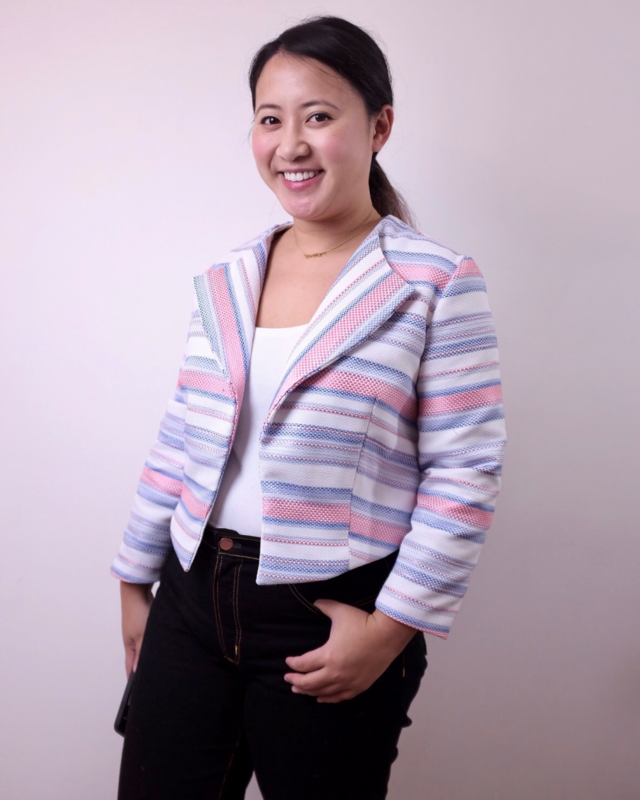 This week on the blog, Emily has shared her stunning Simplicity 1325 blazer that she made from our Rose Gold Metallic Jacquard. 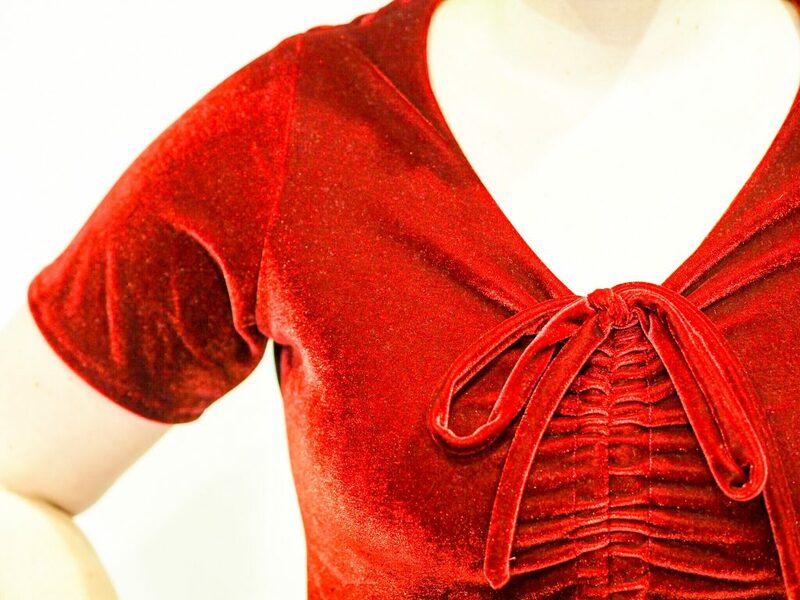 I love how chic it looks! 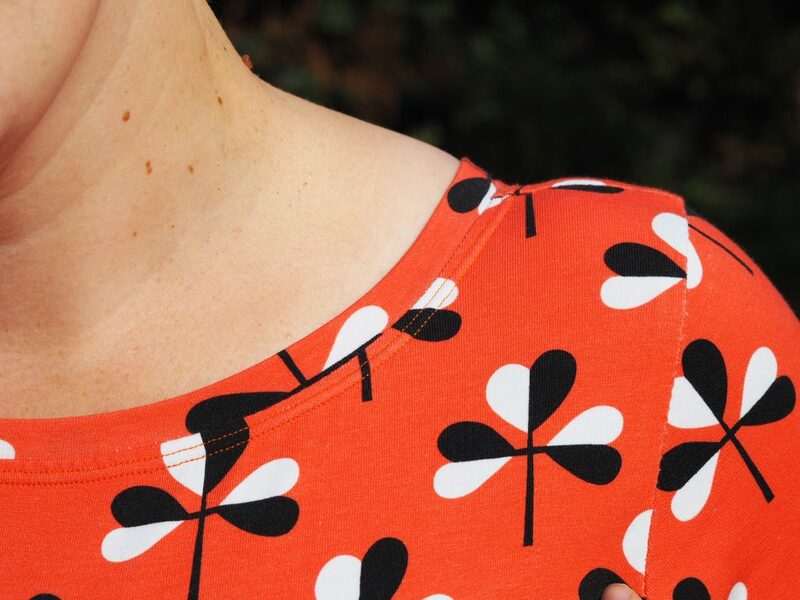 The sleeve was a little trickier as I wanted to get a nicer finish on the hem. 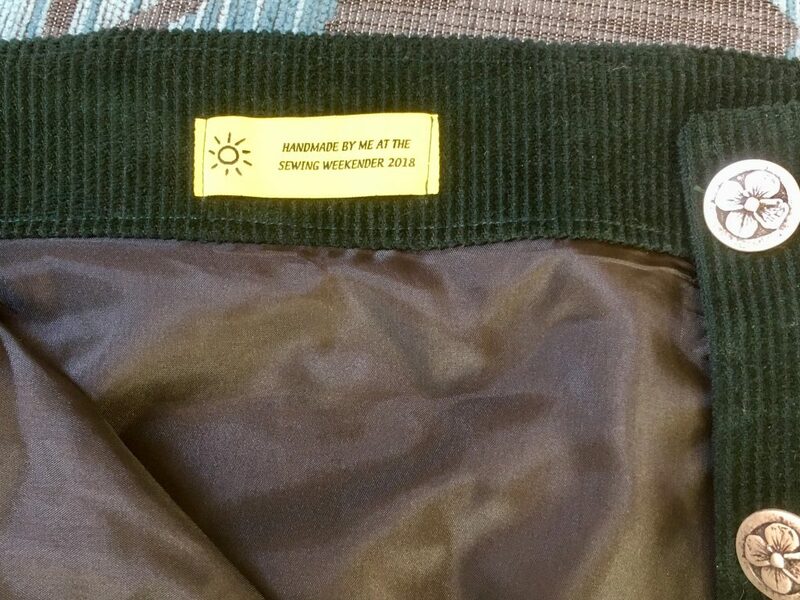 Here, I trimmed 1.5cm from the edge of the sleeve of the lawn lining pieces only. 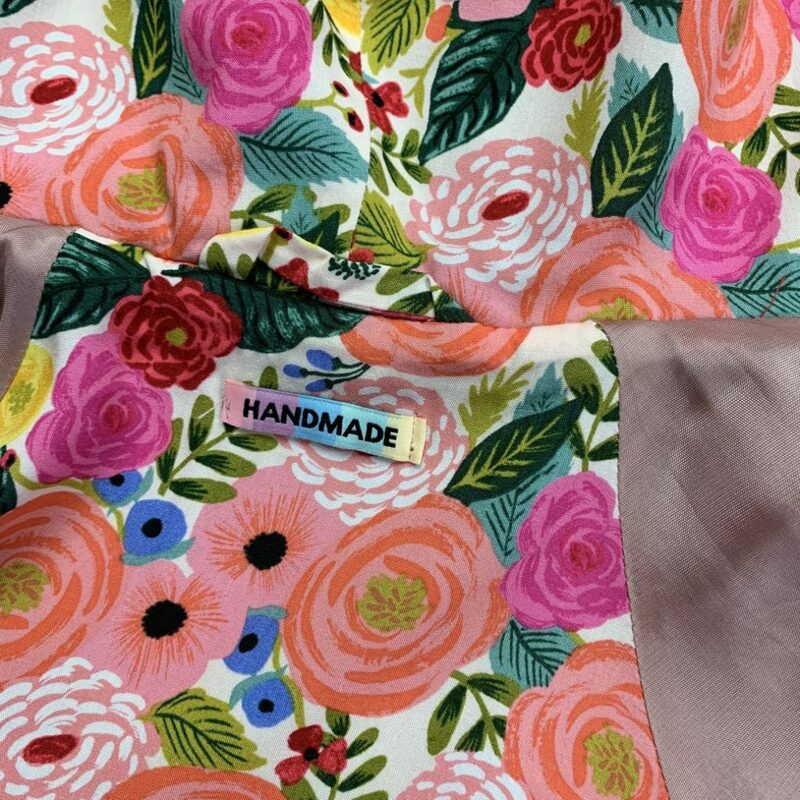 I then sewed the sleeve seam on each of the fabric and lining pieces. 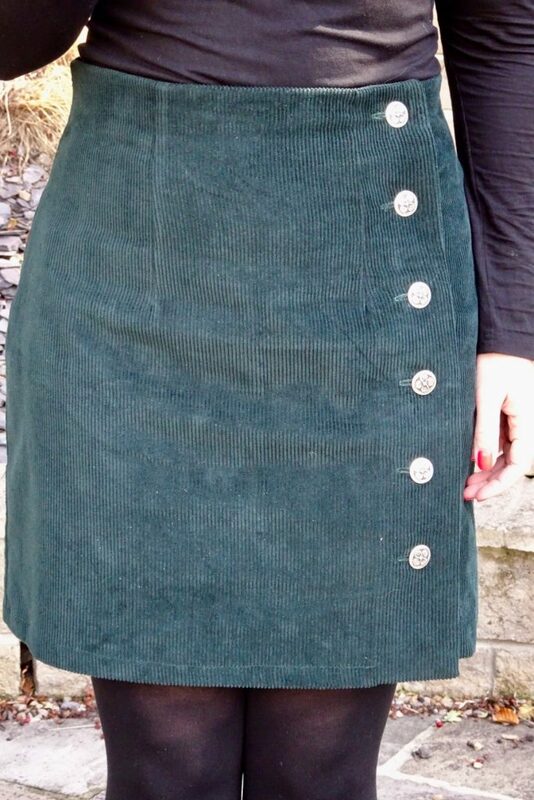 Right sides together I stitched the sleeve hem then turned the lining to the inside. 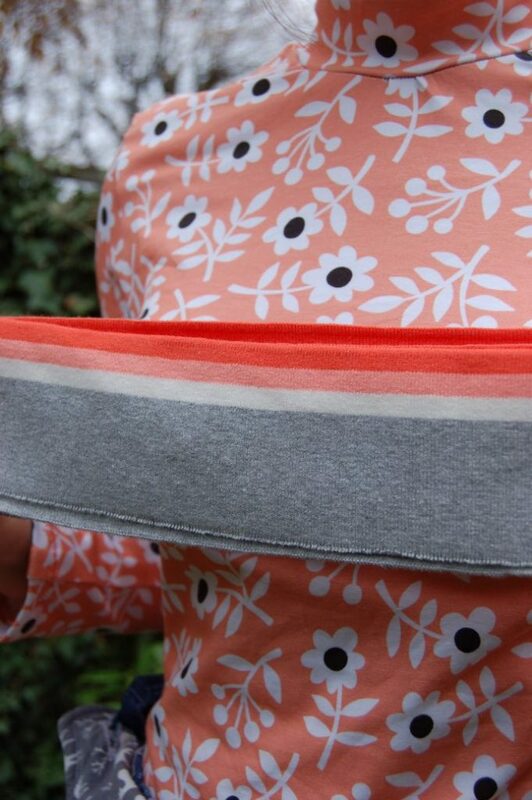 After that I matched up the seam and sleeve head to treat this as one! 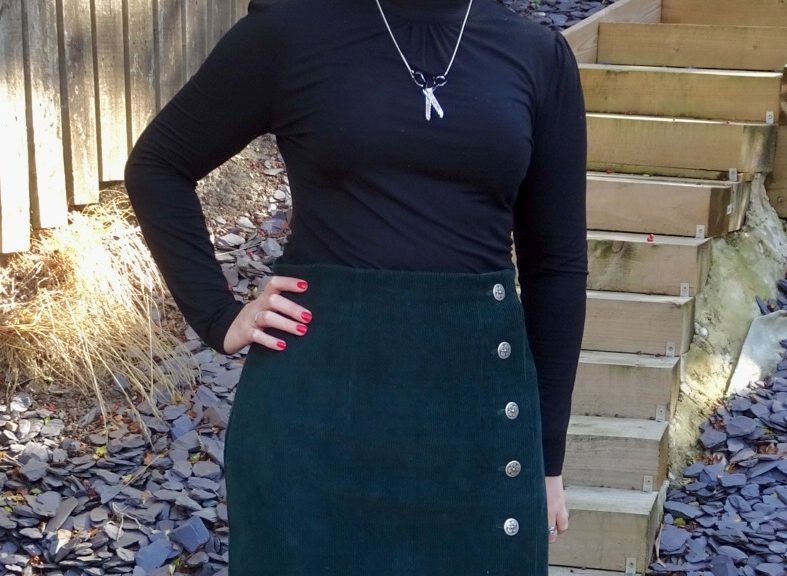 Simple, no? 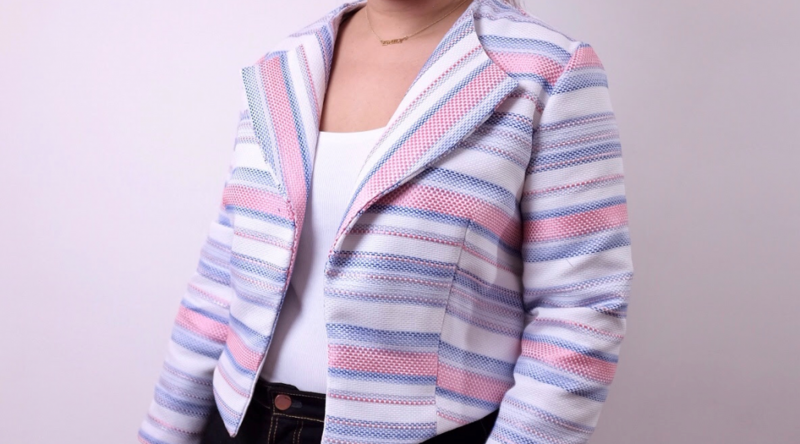 All in all, it’s a cute little jacket. 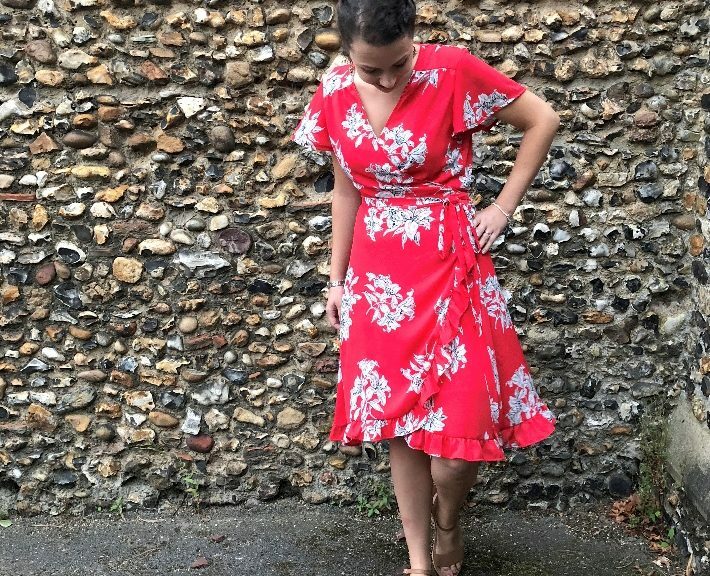 A little light for the weather but it’s summer somewhere right? 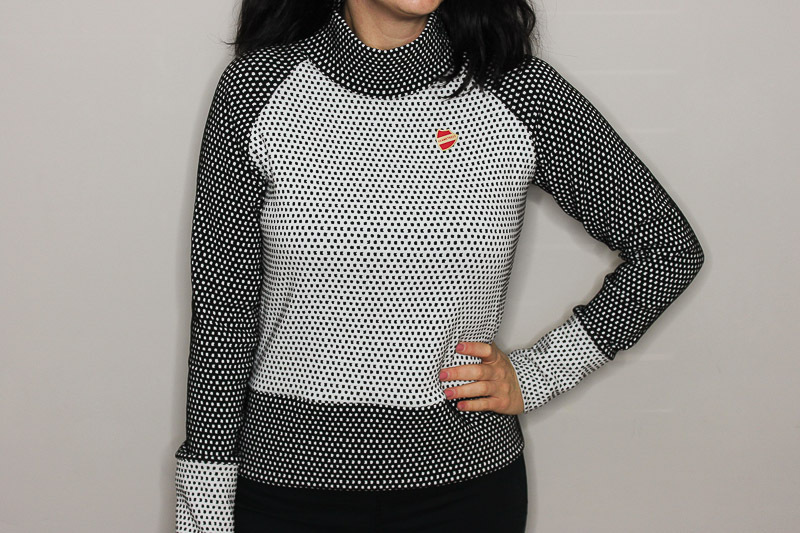 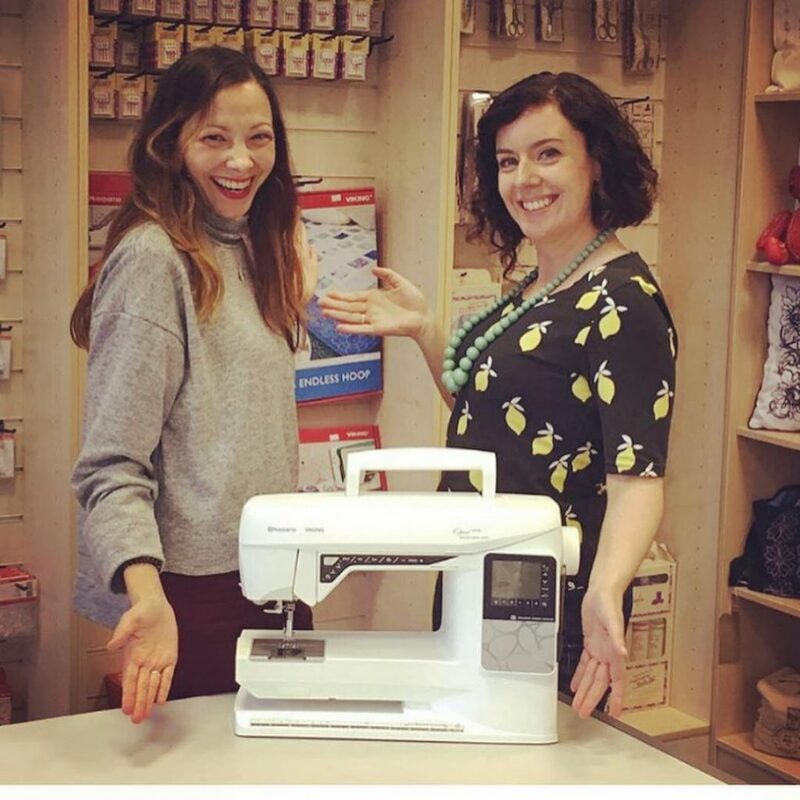 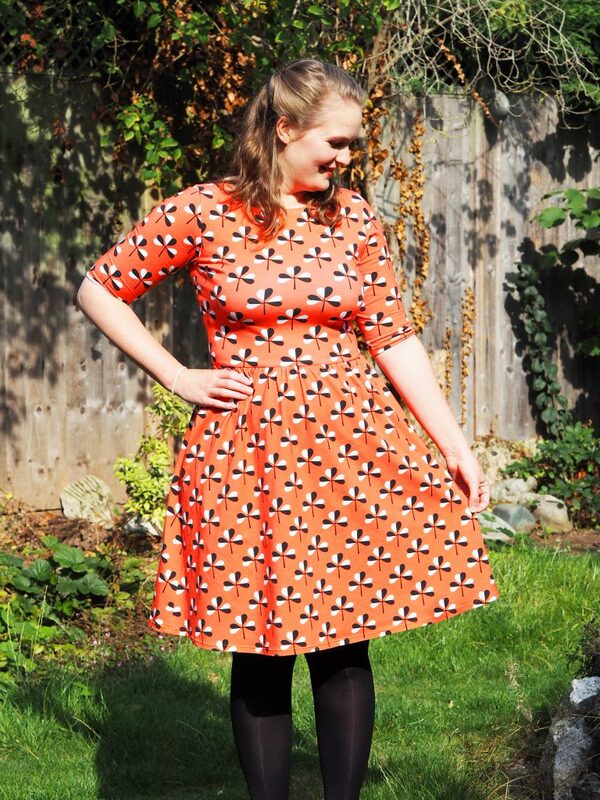 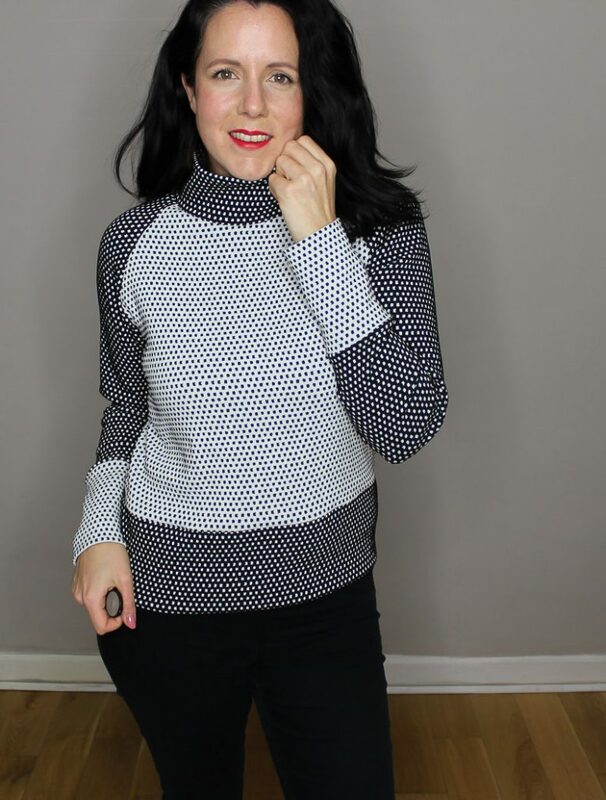 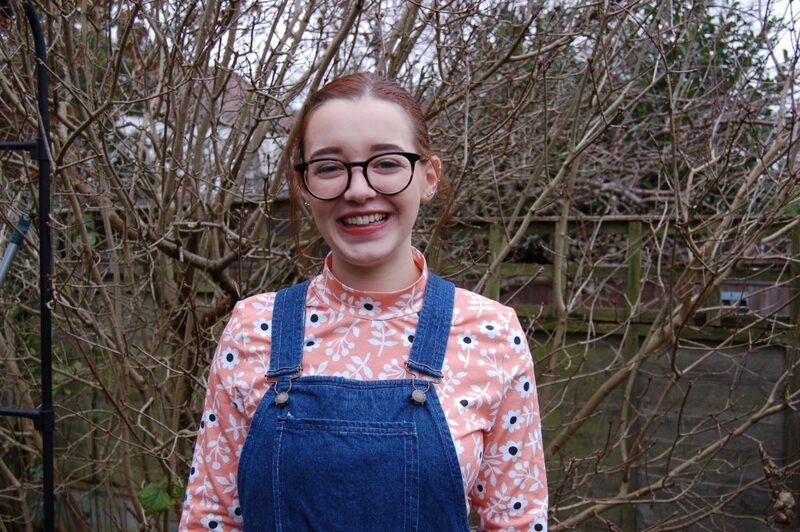 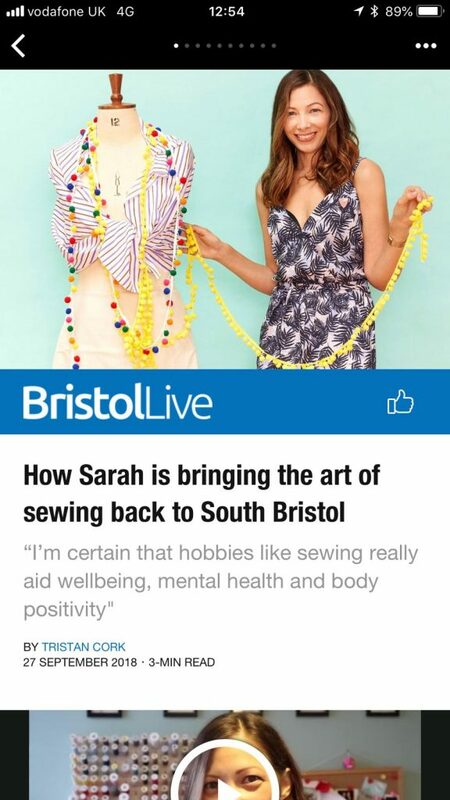 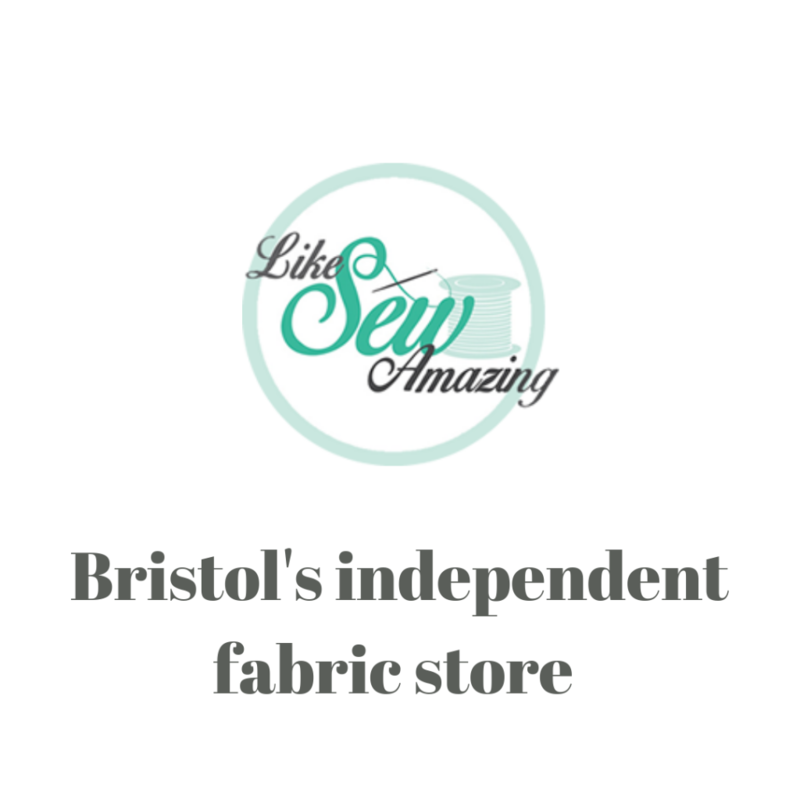 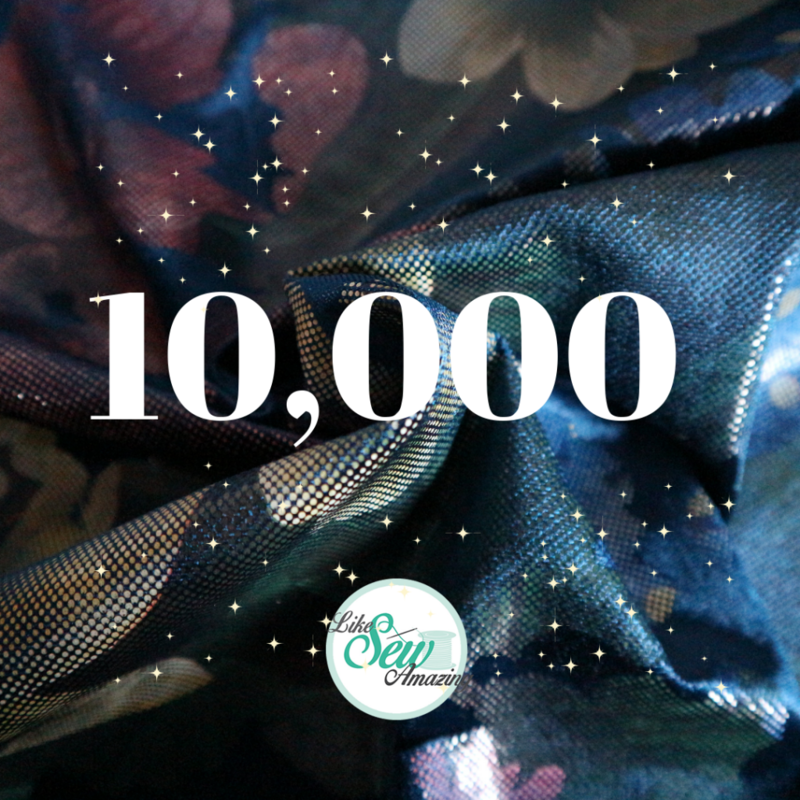 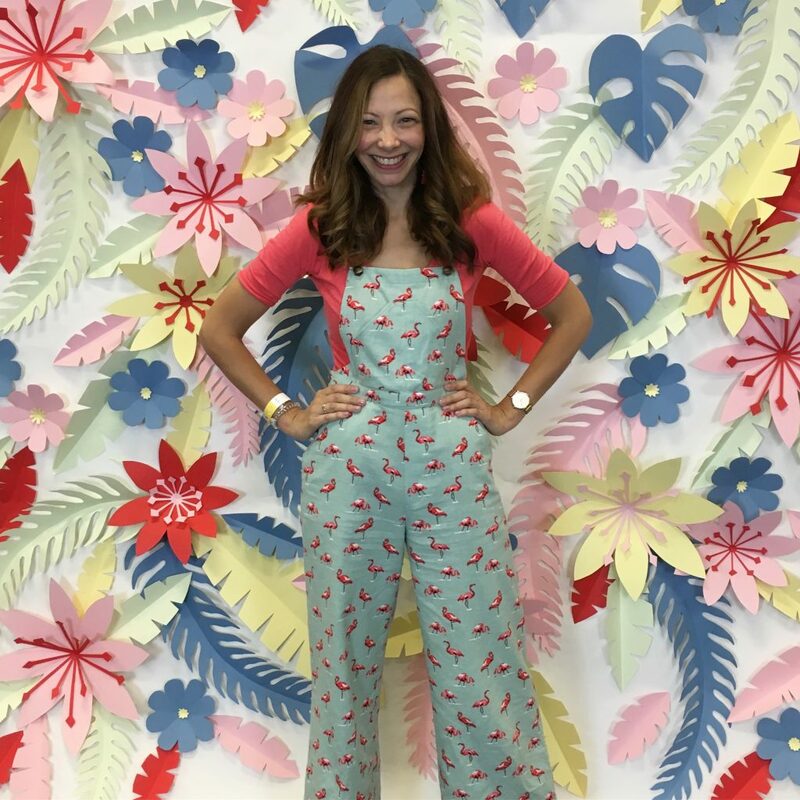 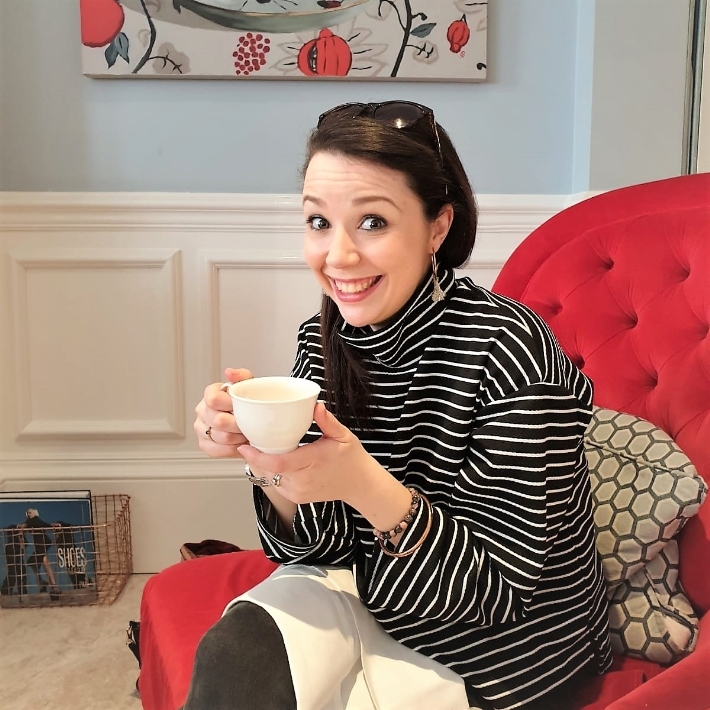 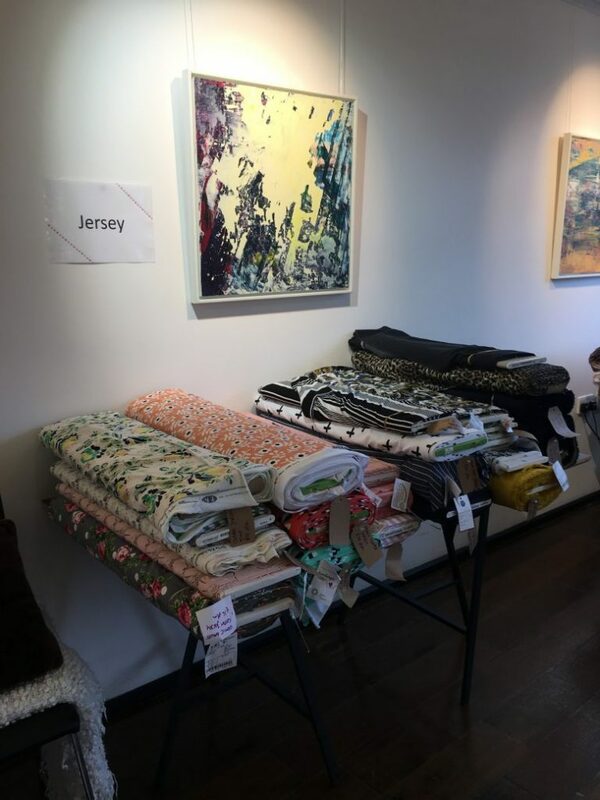 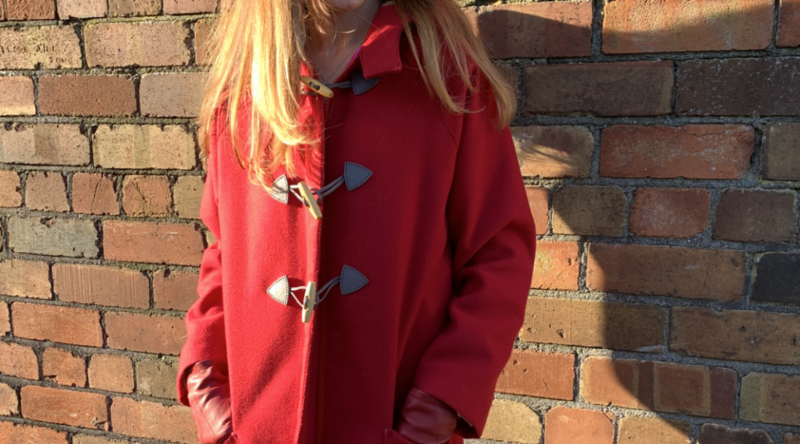 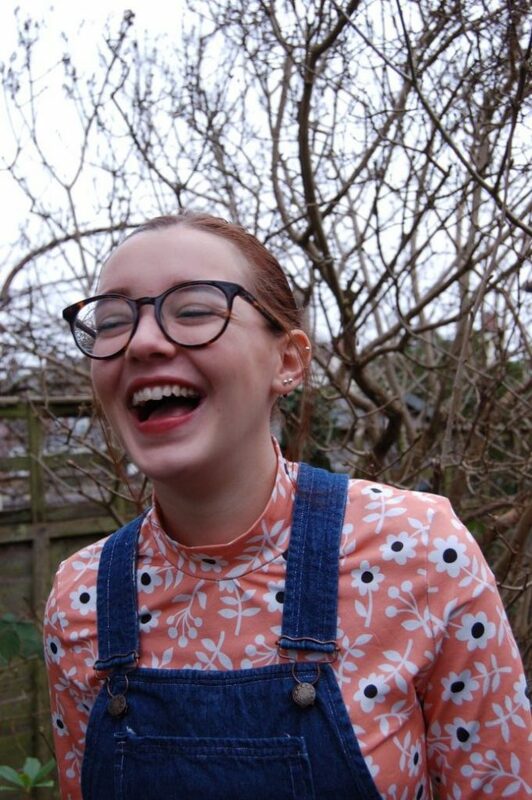 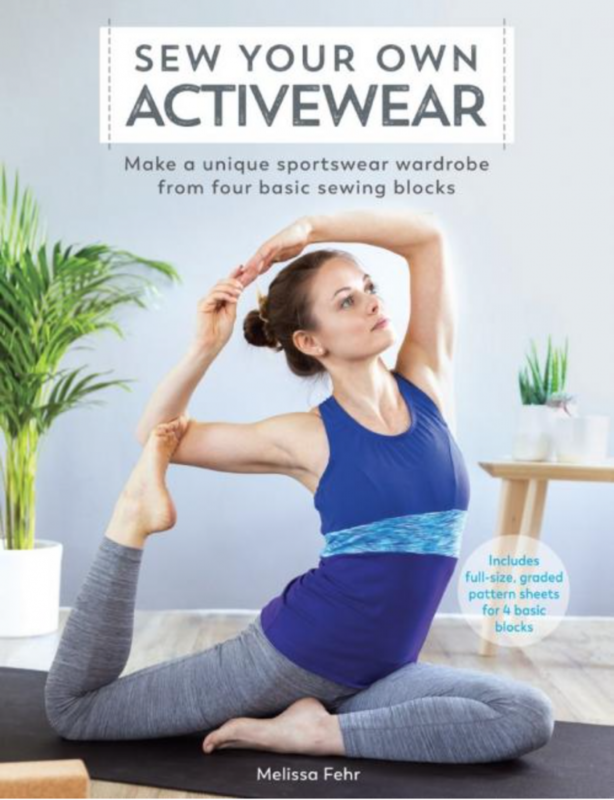 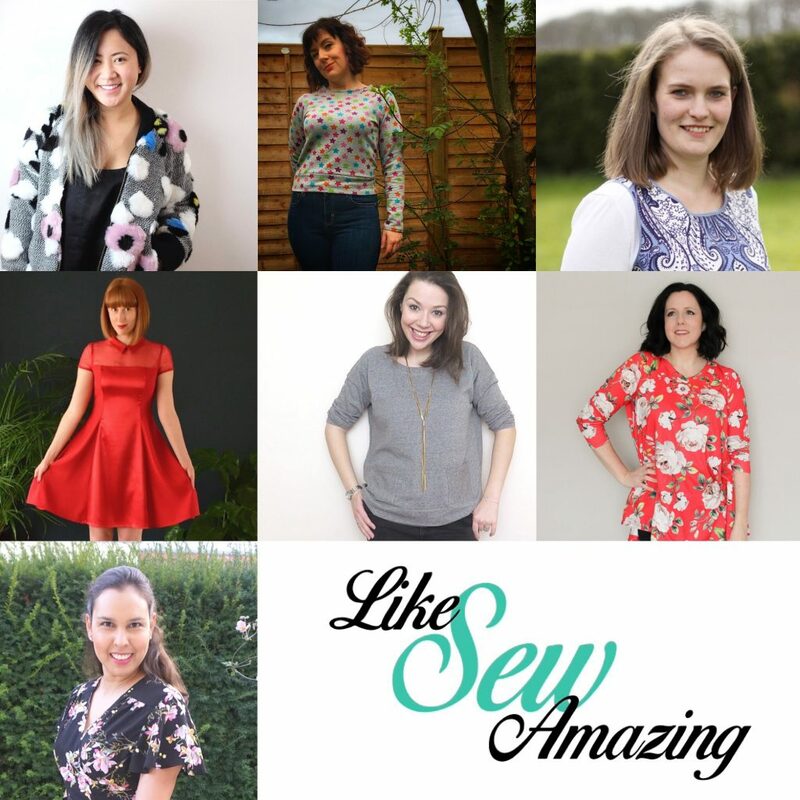 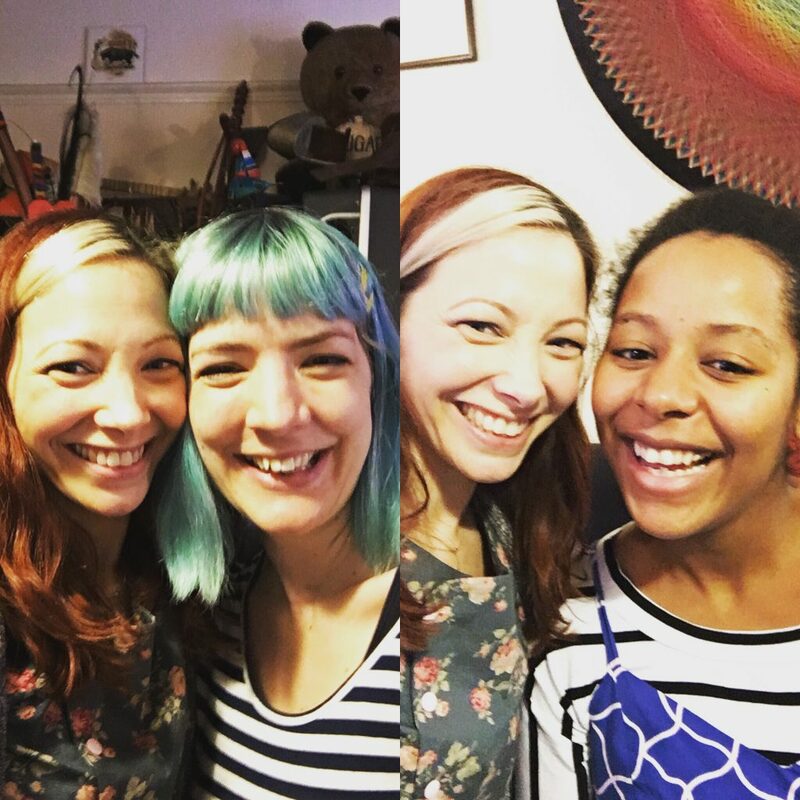 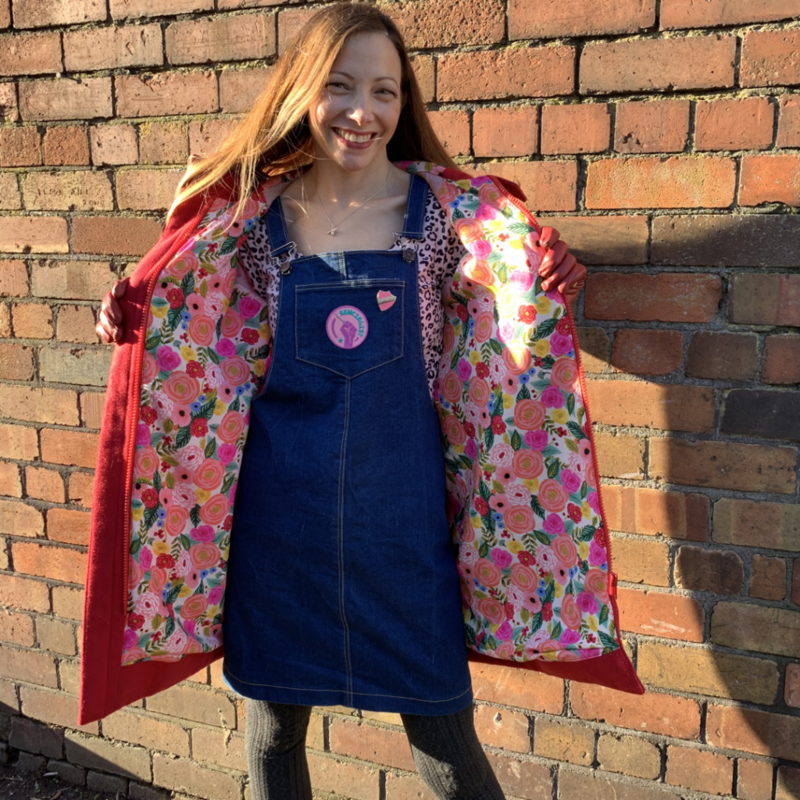 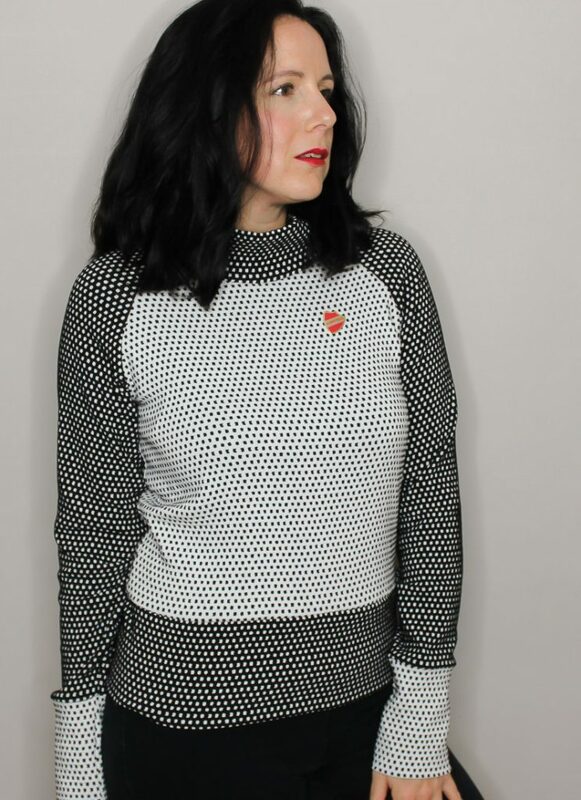 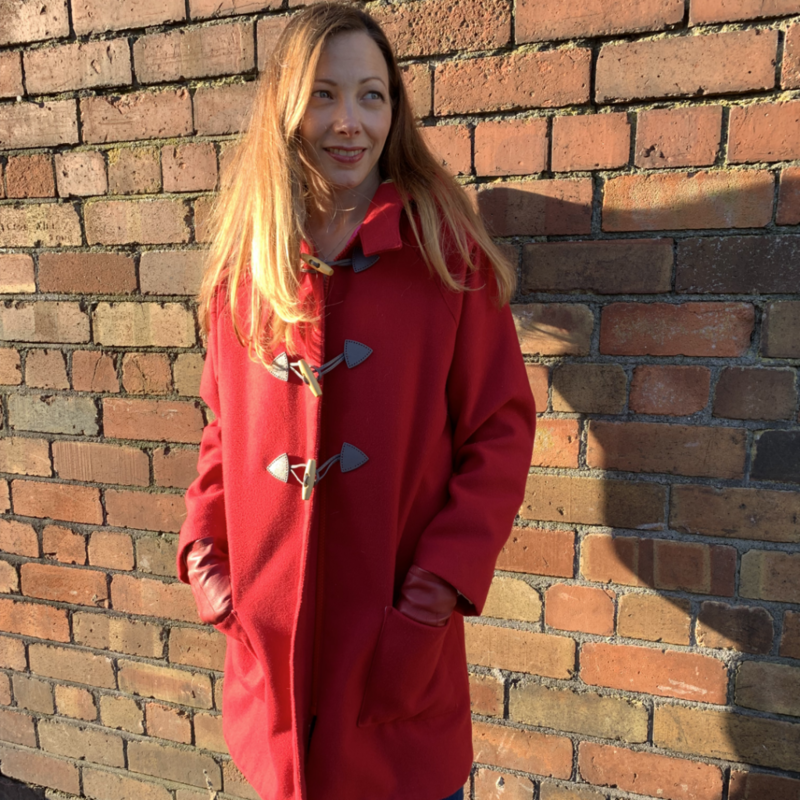 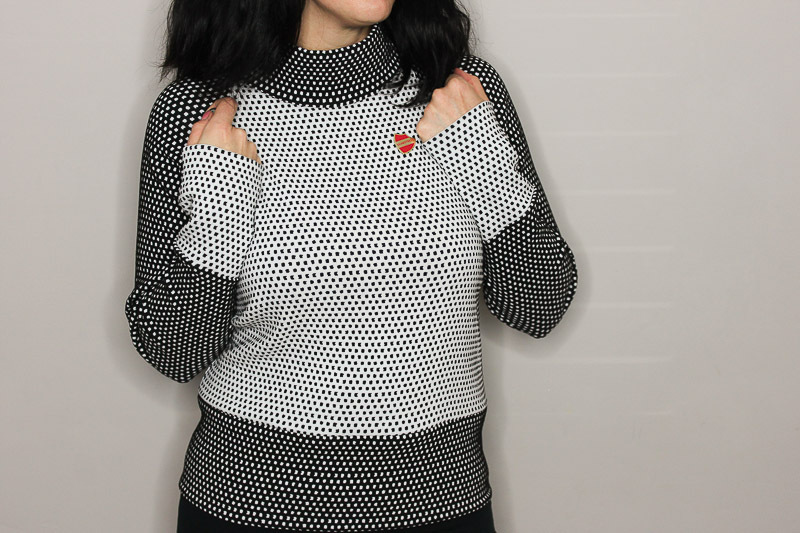 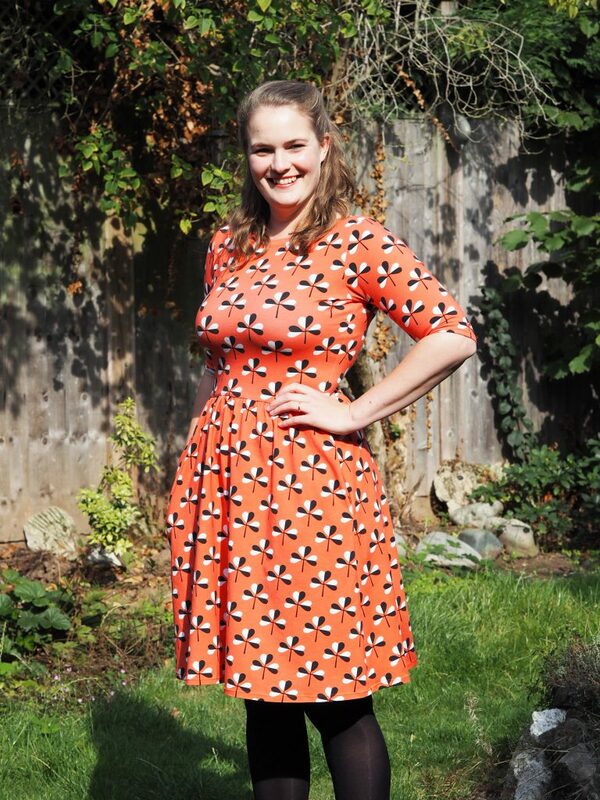 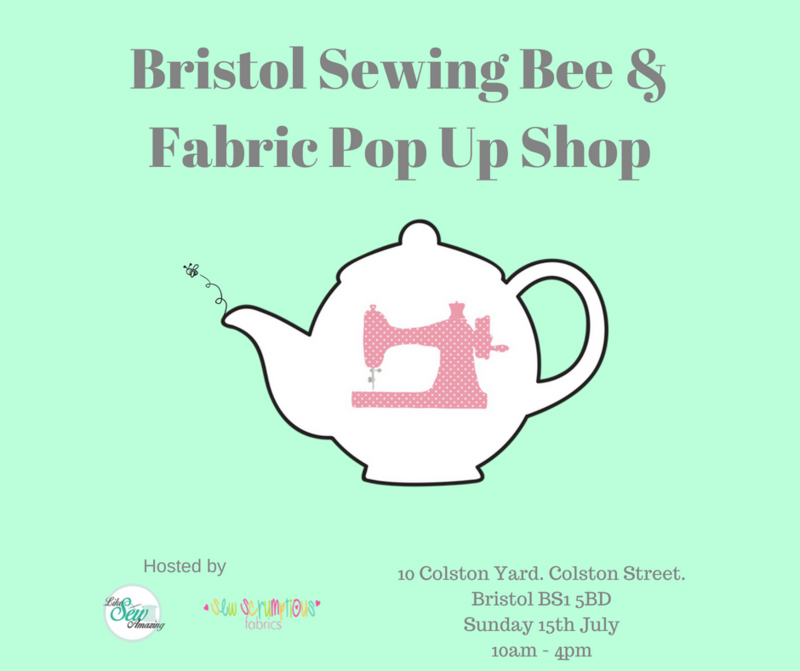 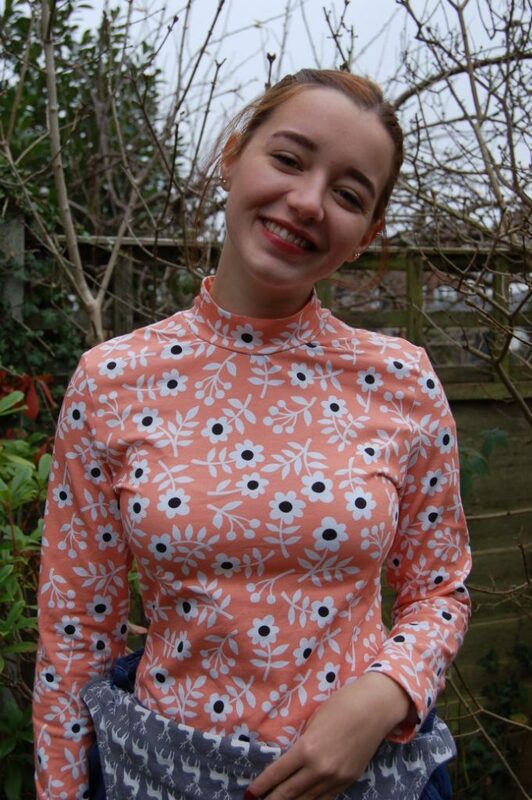 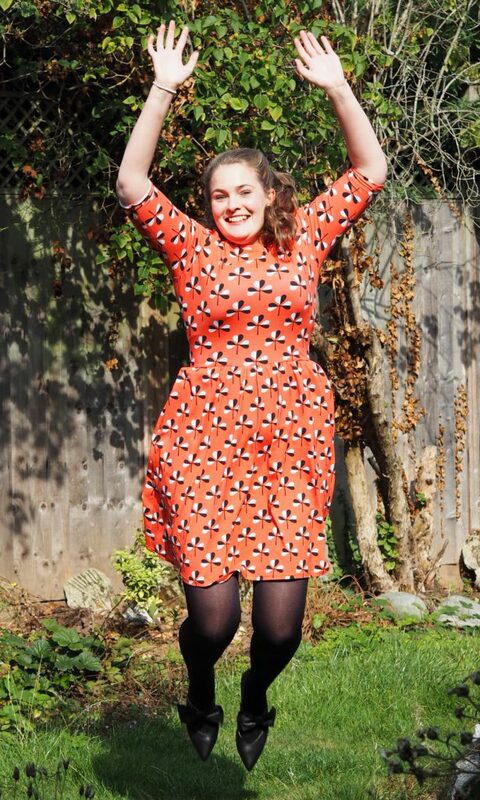 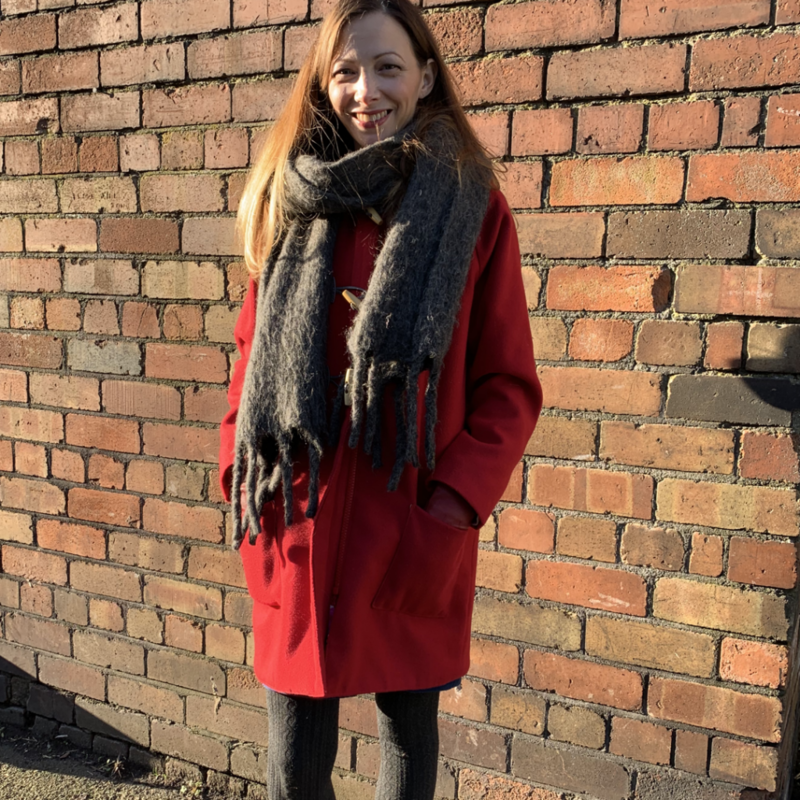 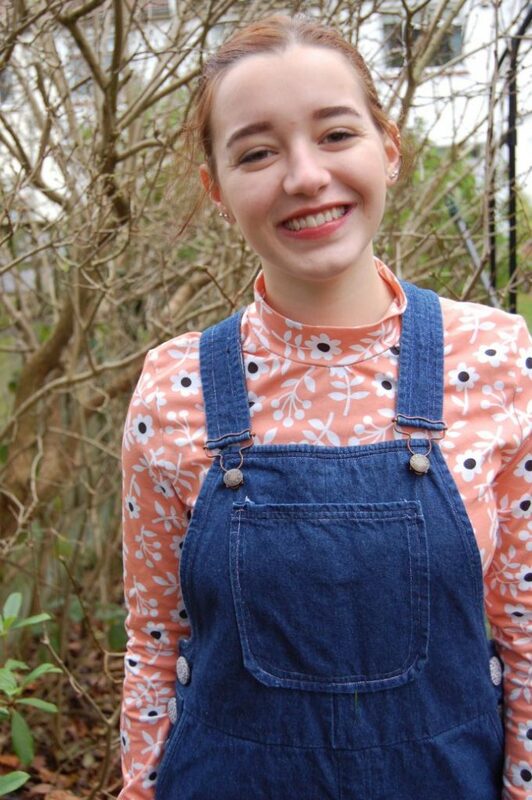 This week we have another guest blogger, Becca from RedW Sews. 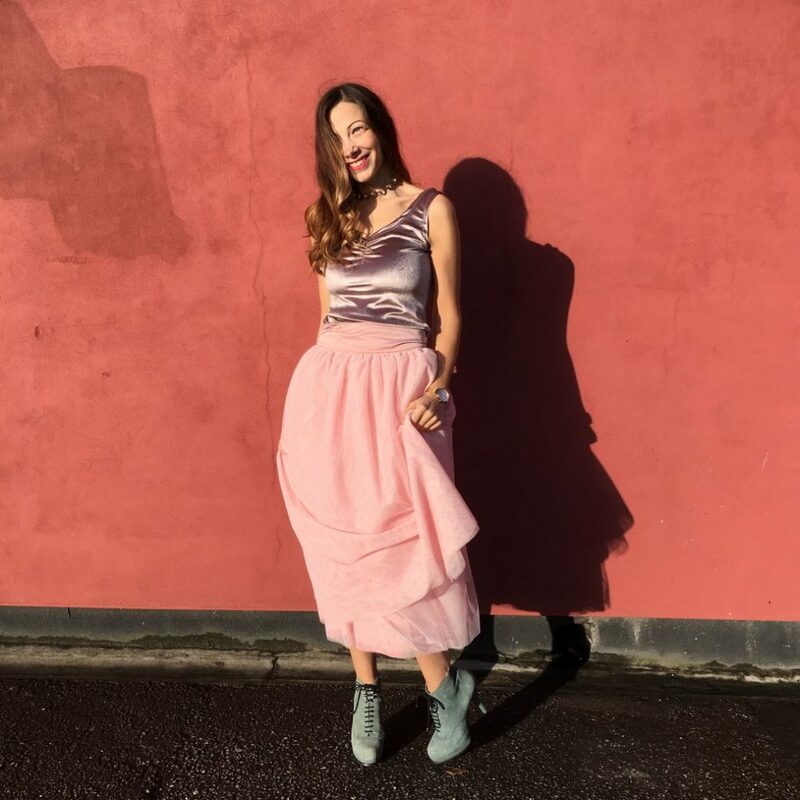 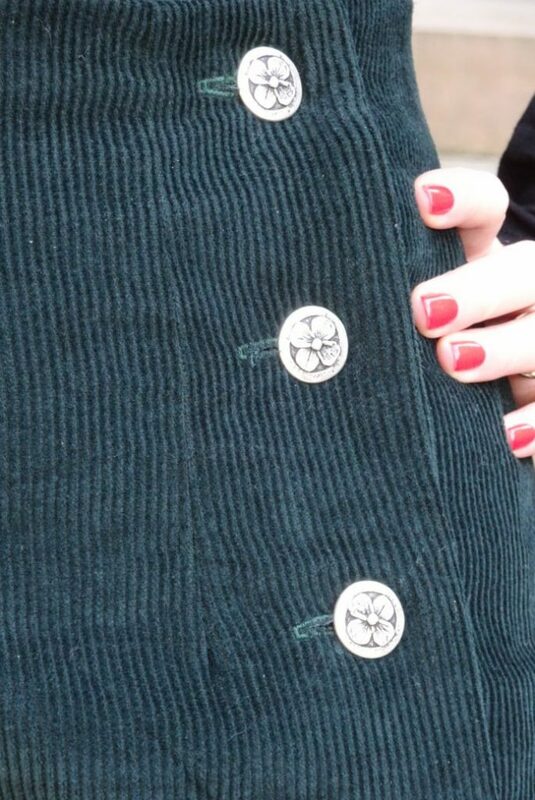 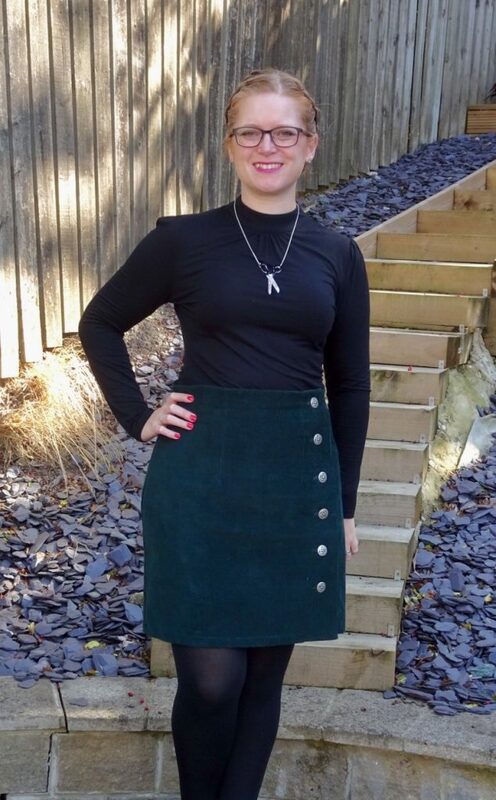 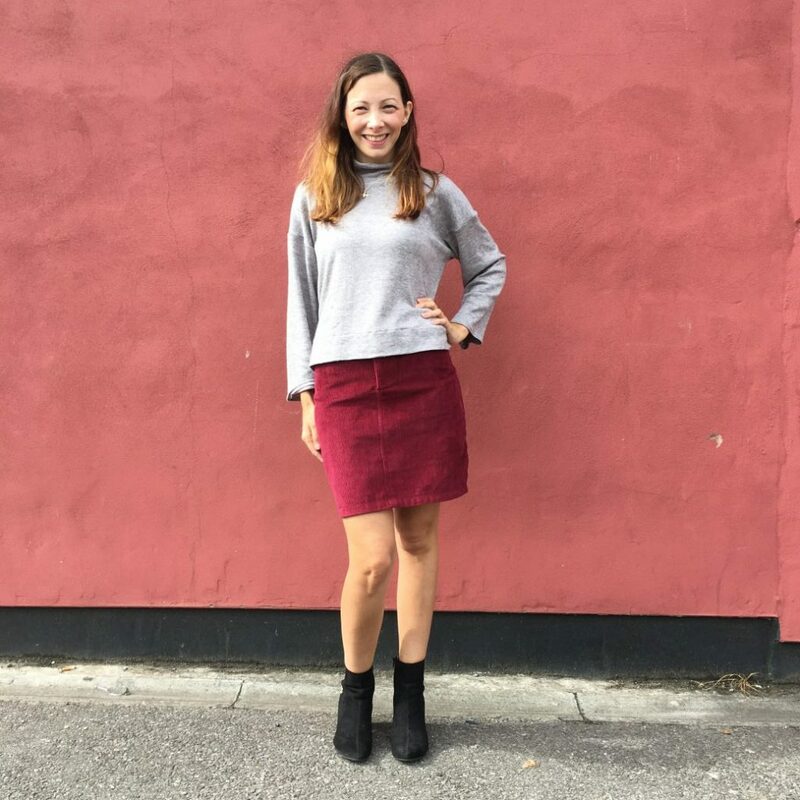 She made the Arielle skirt by Tilly and the Buttons from our Bottle Green Corduroy and it is giving us all the Autumn vibes! 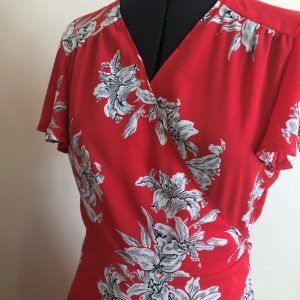 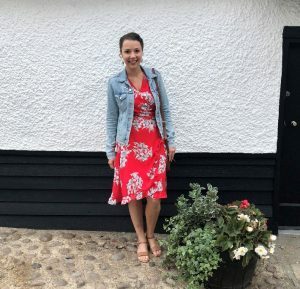 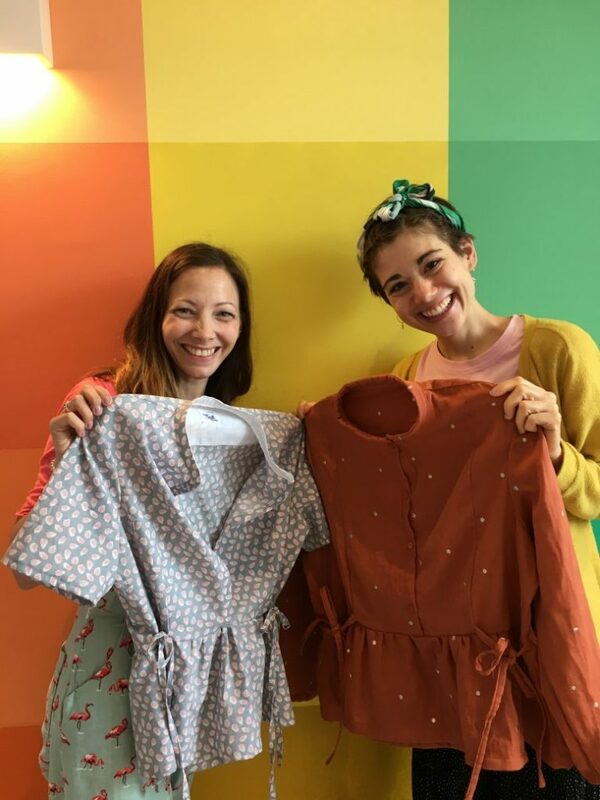 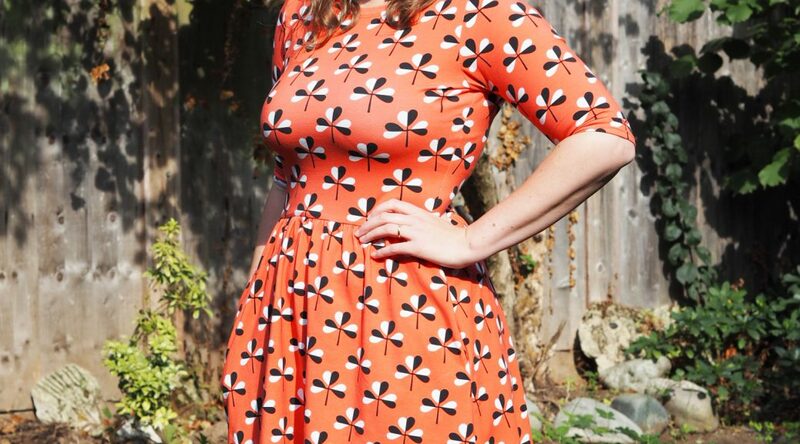 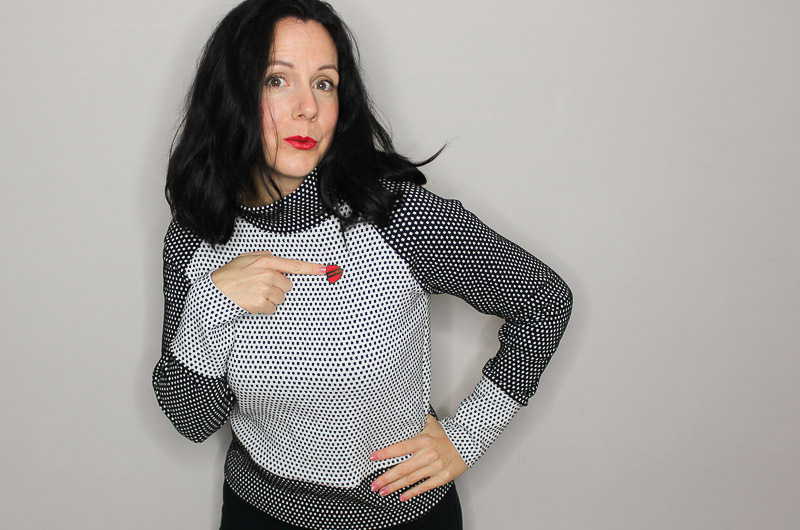 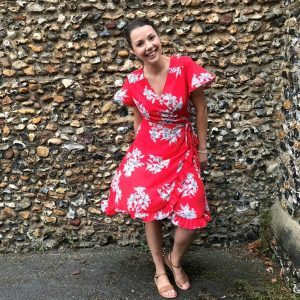 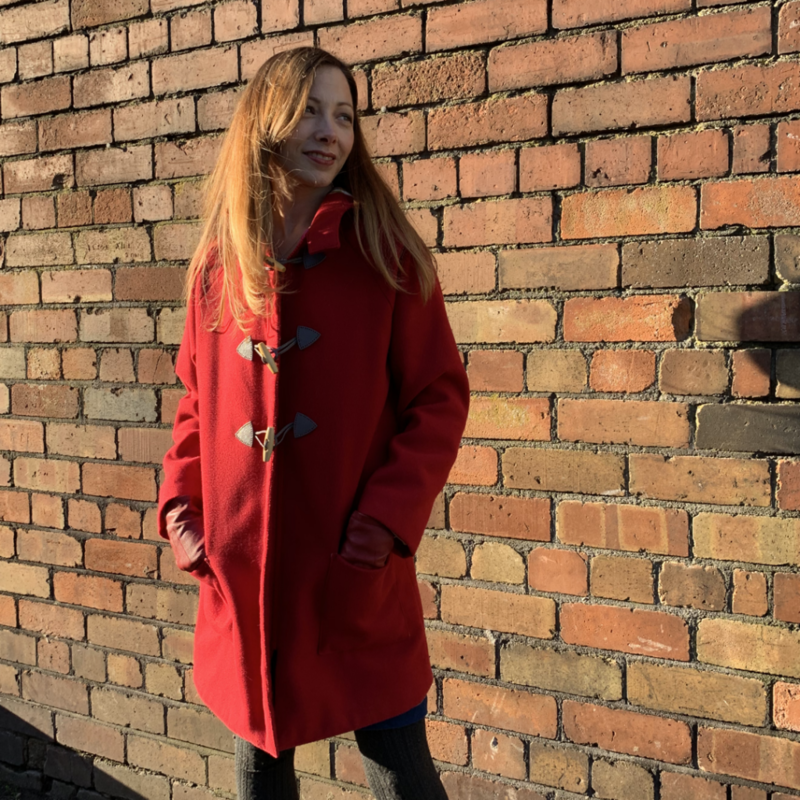 For this week’s blog post, Stef from Stef Makes has made a beautiful Sew Over It Eve dress from our Scarlet Cluster Georgette. 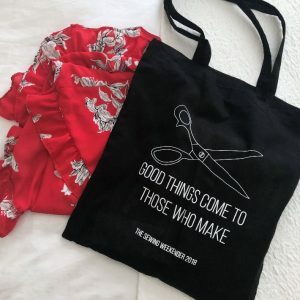 I got to see it first hand at the Sewing Weekender and it is every bit as gorgeous in real life! 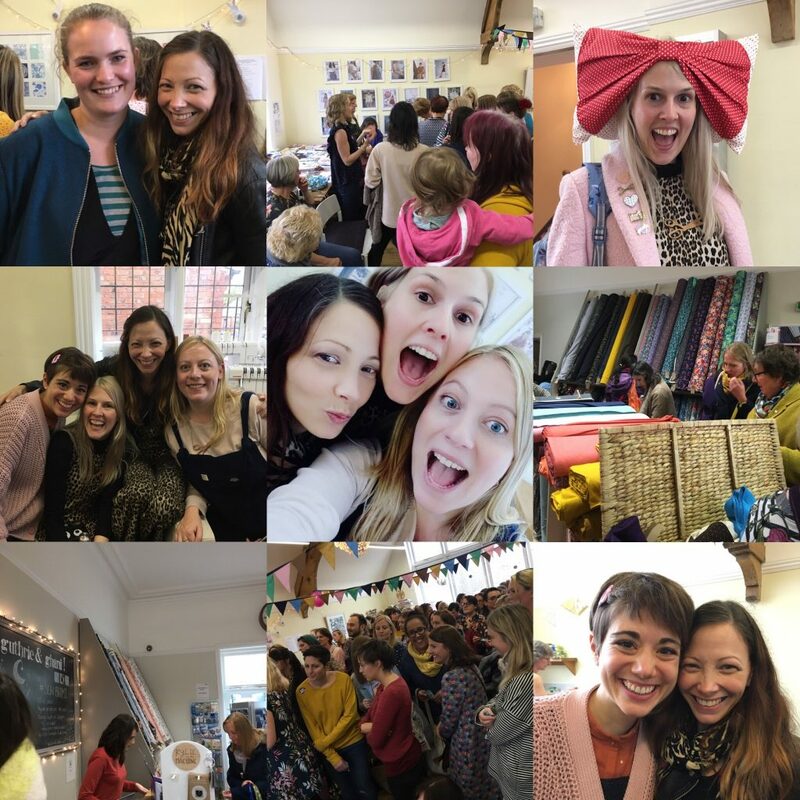 A couple of weeks back I had the good fortune of attending The Sewing Weekender, organised by three lovely ladies; Kate and Rachel from The Fold Line and Charlotte from An English Girl at Home. 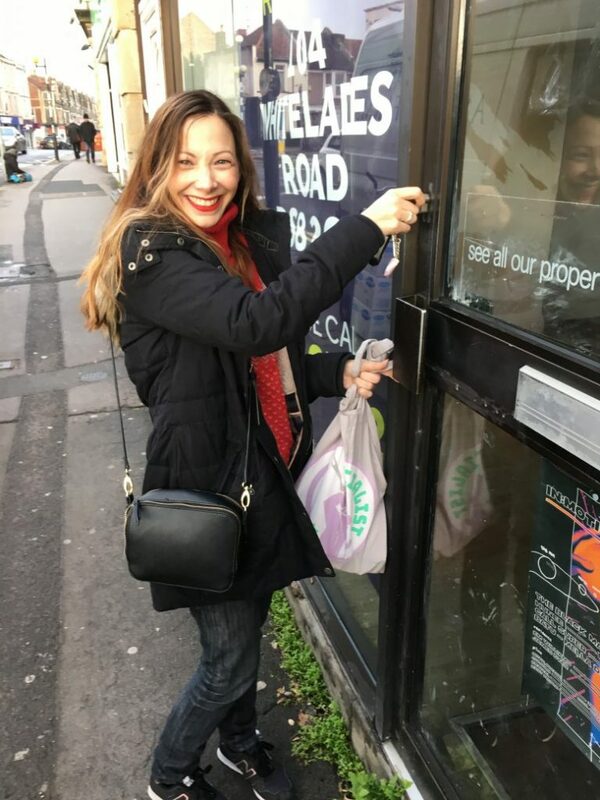 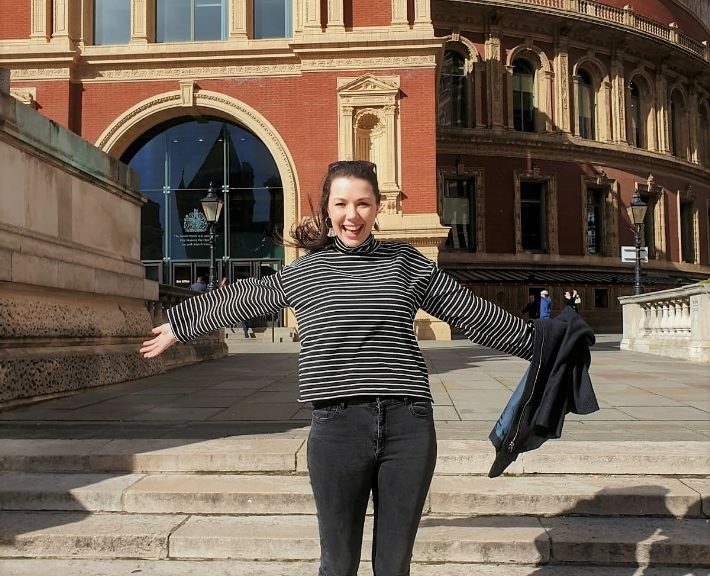 What can I say – I had a ball! 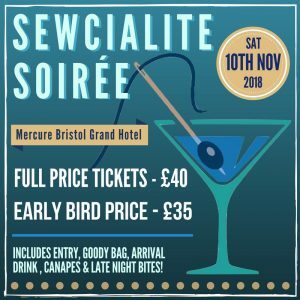 I was lucky enough to get tickets for the second year in a row and both times have been, without fail, an incredibly enjoyable event. 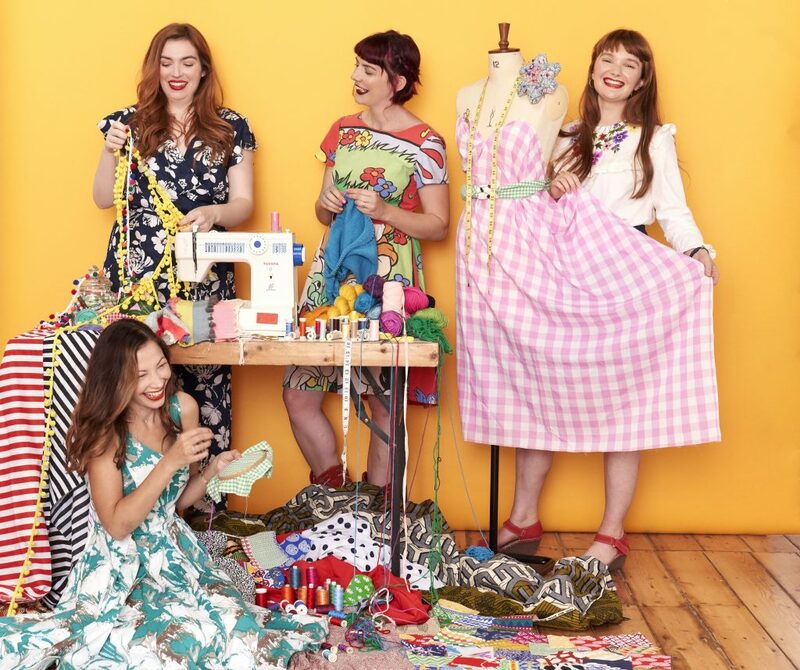 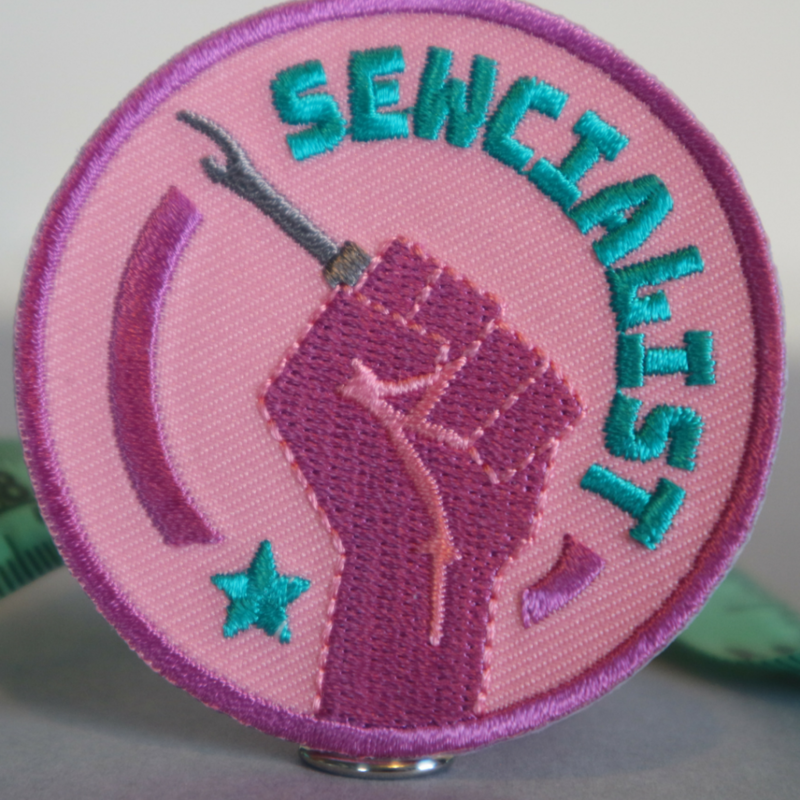 Over the two days we were presented with a cracking line up of inspirational talks and workshops, as well as an opportunity to work on a sewing project whilst nattering (A LOT) with a lovely bunch of seamstresses. 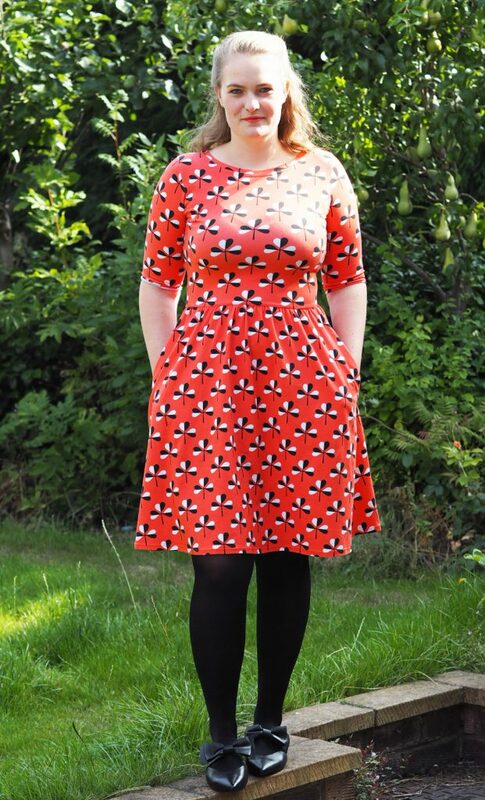 This year my chosen project was the Sew Over It, Eve Dress. 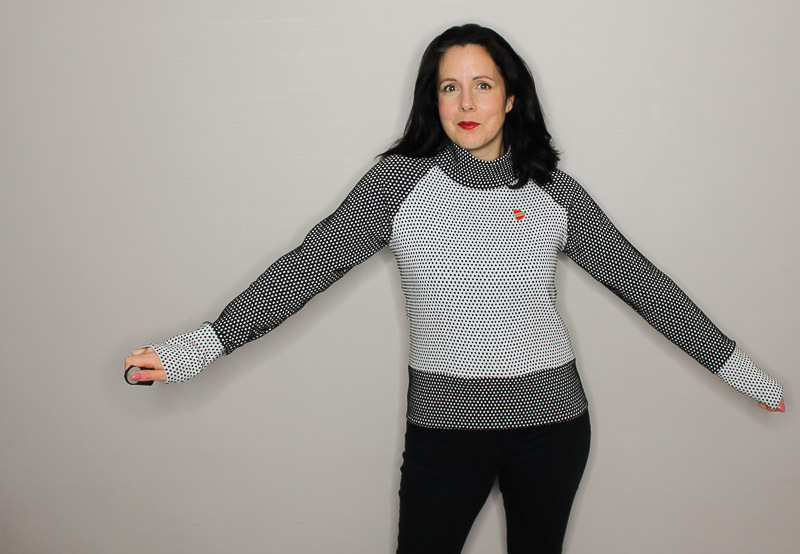 I picked this pattern as I had already made it up the week before so 1) knew that it was an easy project and 2) the instructions were fresh in my mind. 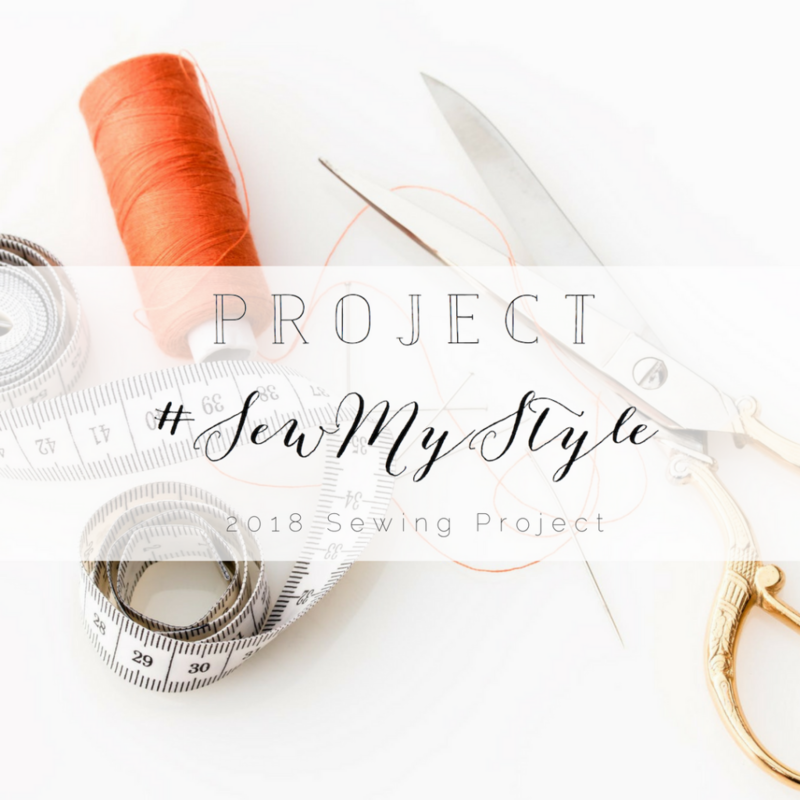 As many have recommended, and from my experience last year, the easier the project the better; allowing for maximum talking time and requiring little concentration. 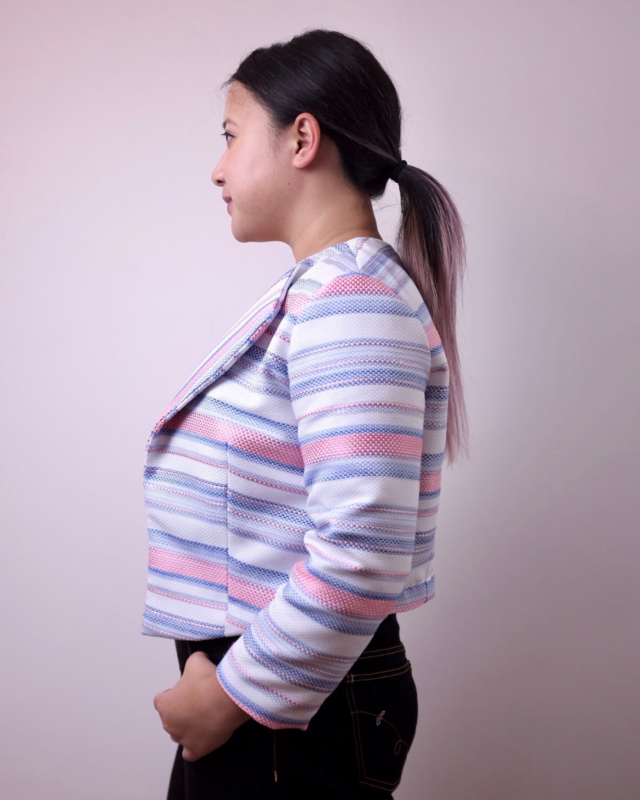 I had cut out and overlocked all of my pattern pieces beforehand which also helped to make it super easy on the weekend itself. 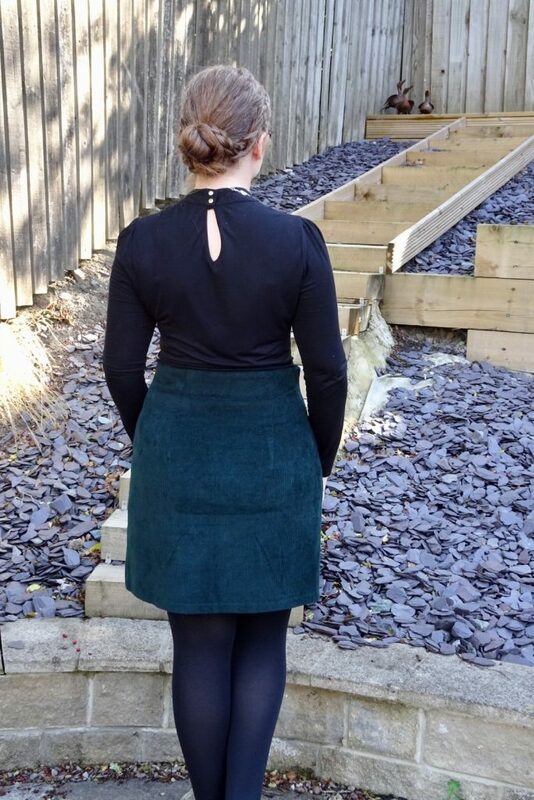 Shortening of skirt significantly (I knew the addition of the ruffles would make it longer and wanted to end up with something around the knee length mark). 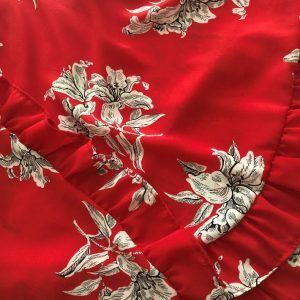 Cut multiple straight strips of fabric to become the ruffle (10cm in width and length as long as my remaining scraps of fabric would allow). 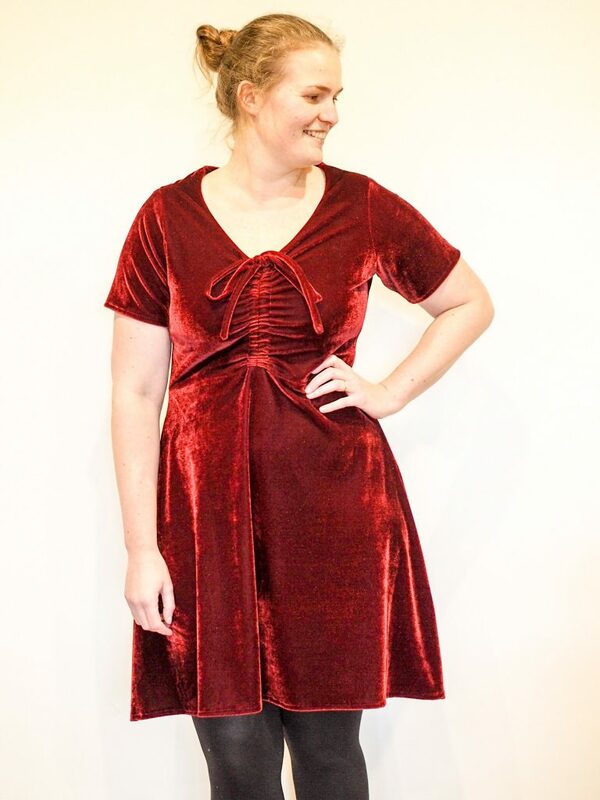 Added ruffle from the waist of the wrap all the way around the hem and back up the other side, by calculating the total length and multiplying it by 1.5. 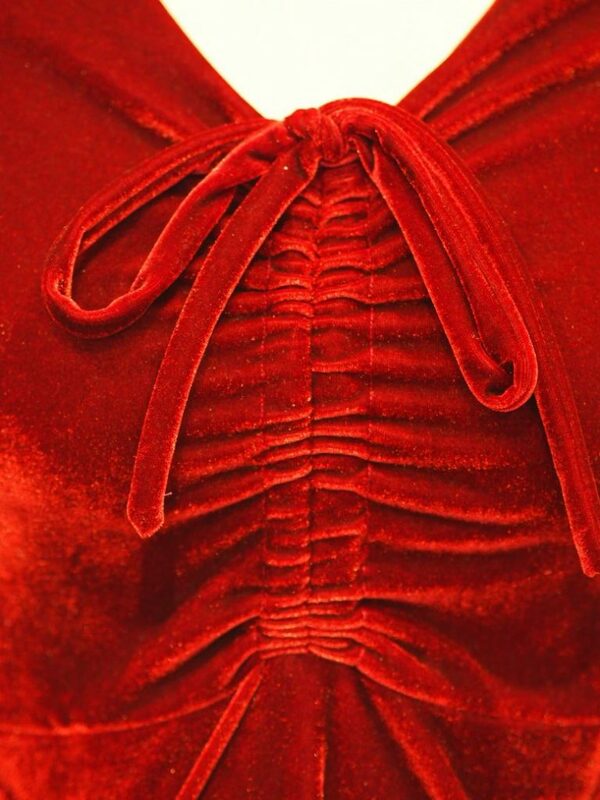 I think this gave the perfect volume of ‘ruffle-ness’. 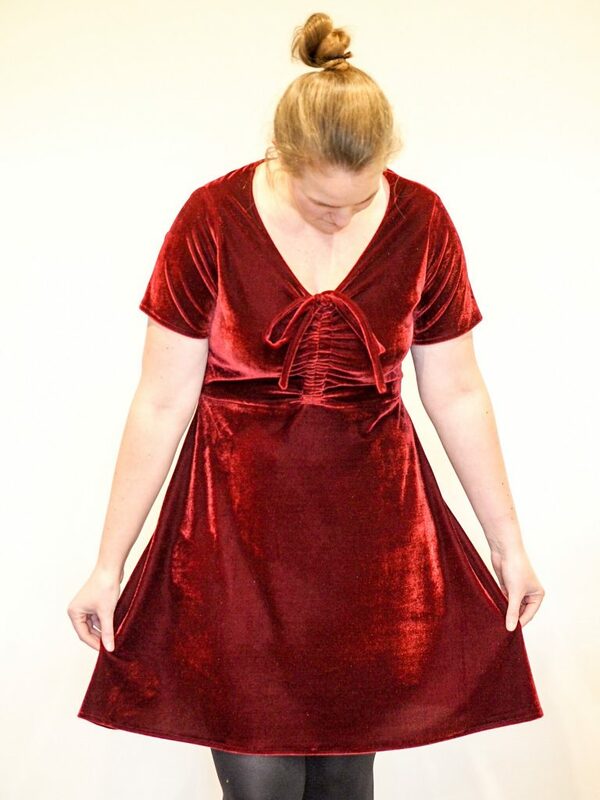 (I was able to get away with only needing to have seams in the ruffles at the sides and centre back so it worked out perfectly). 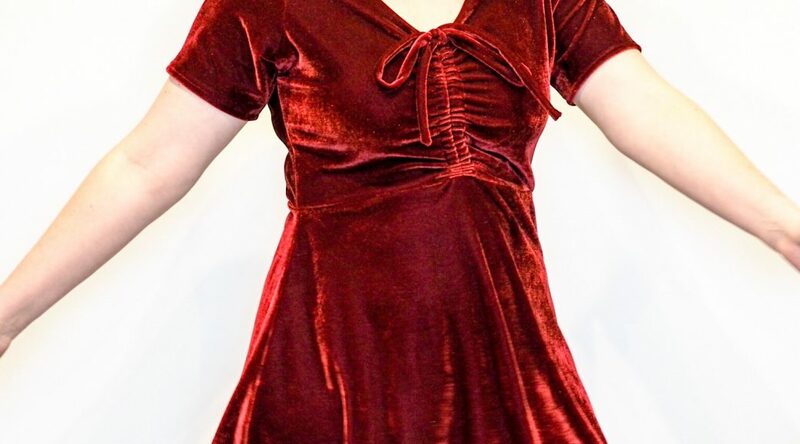 I used Scarlet Cluster Georgette from Like Sew Amazing and it worked perfectly. 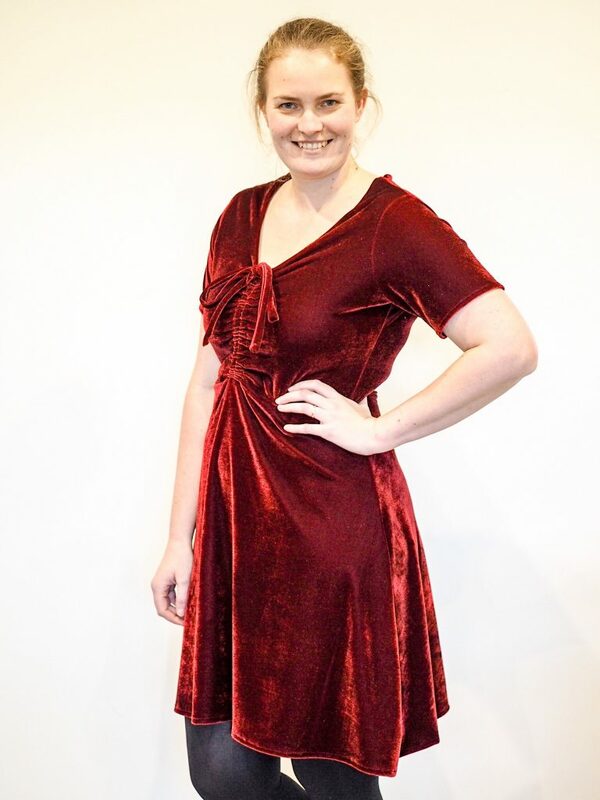 I wouldn’t usually have gone for such a bold colour as this shade of red but I’m so glad that Sarah convinced me to give it a try. 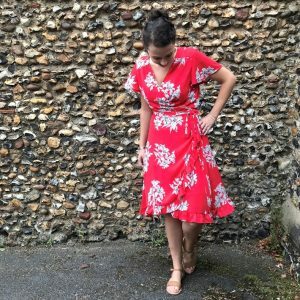 What’s more, I have just returned from a holiday in Spain (literally writing this post on the plane) where the whole ruffle/red vibe felt rather appropriate for the occasion. 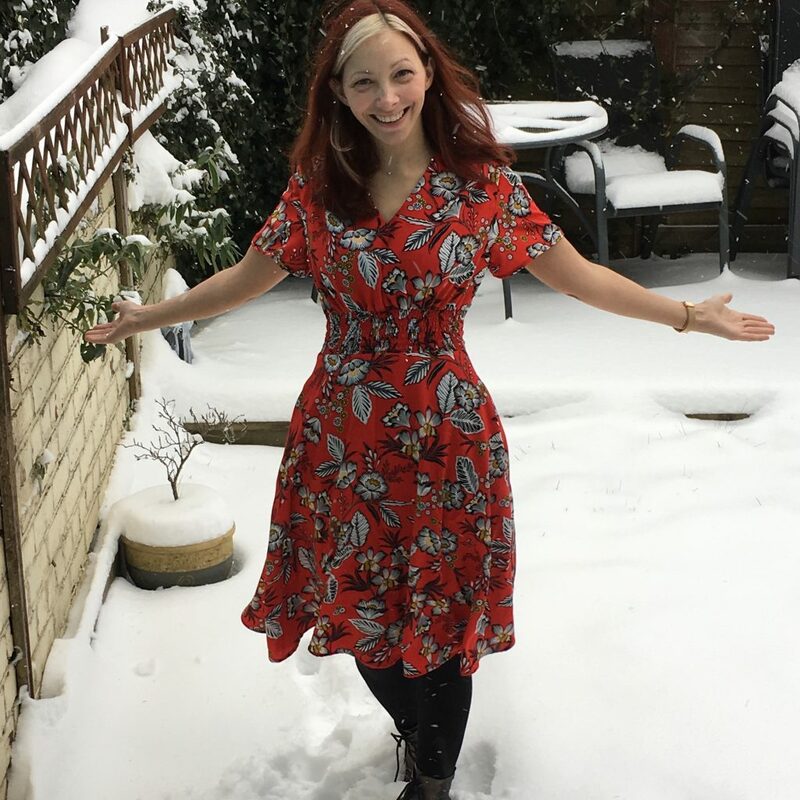 The fabric, by nature, is sheer, however I was reluctant to add a lining given that it was intended to be a light-weight, floaty holiday dress. 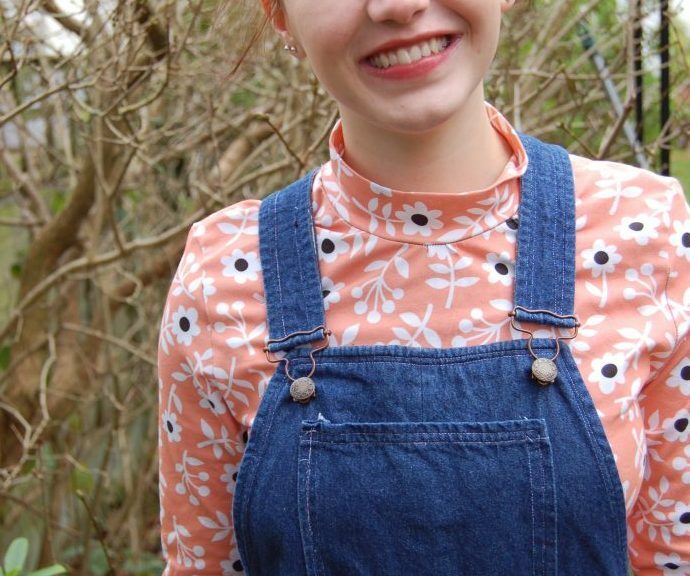 I got around it by wearing a camisole underneath though, which did just the job. 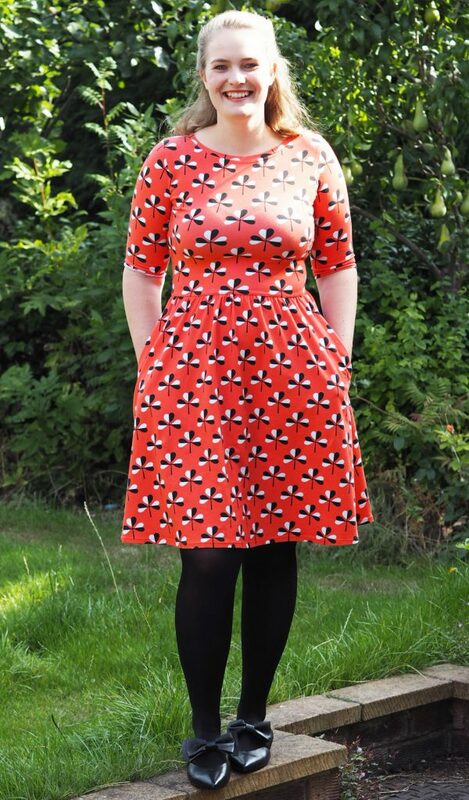 I was especially pleased that I managed to finish my dress on the first day of the Weekender and was able to wear it on the second. 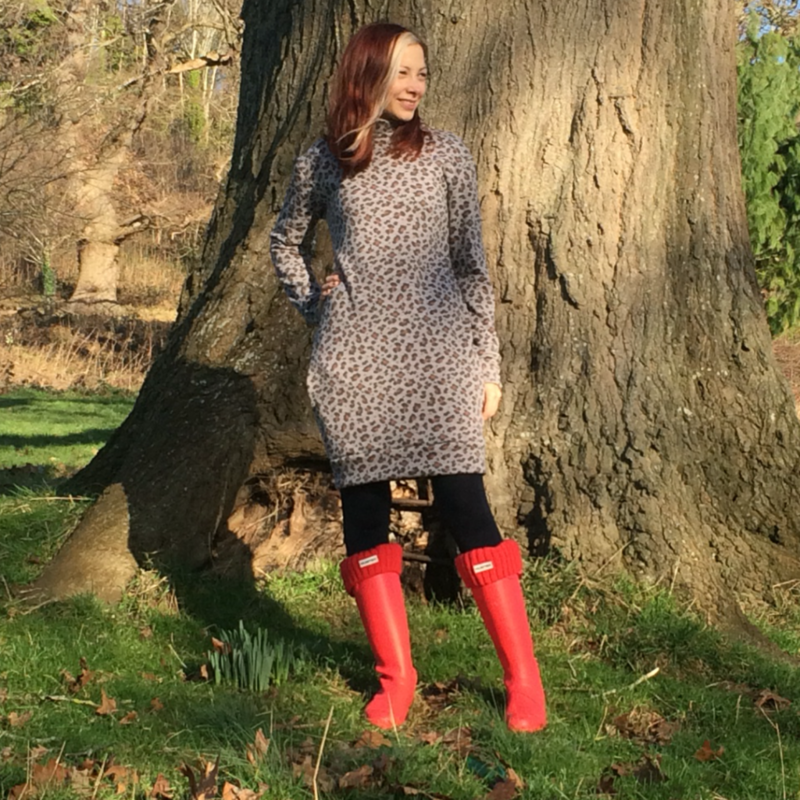 It was raining and not at all weather appropriate but I didn’t care! 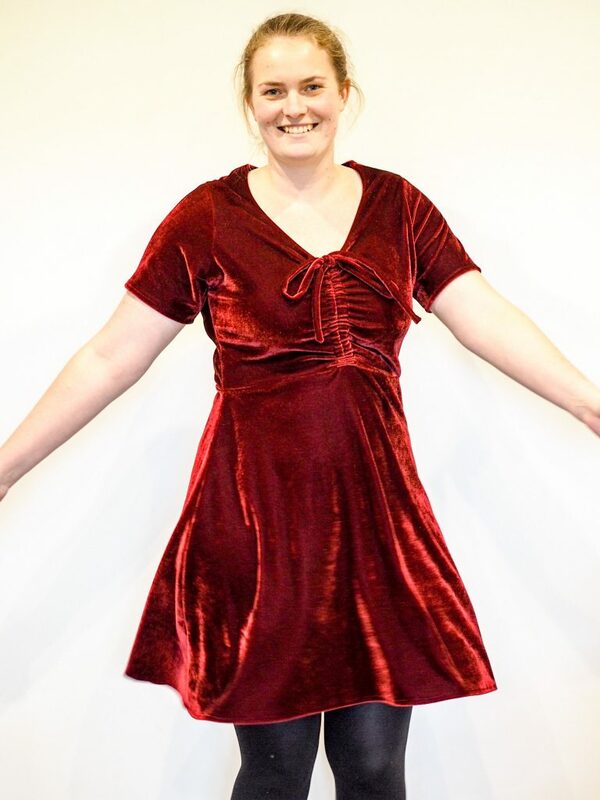 All in all, I’m really happy with my new dress and glad that I was able to whip it up in time to get a couple of wears out of it on the right side of Summer. 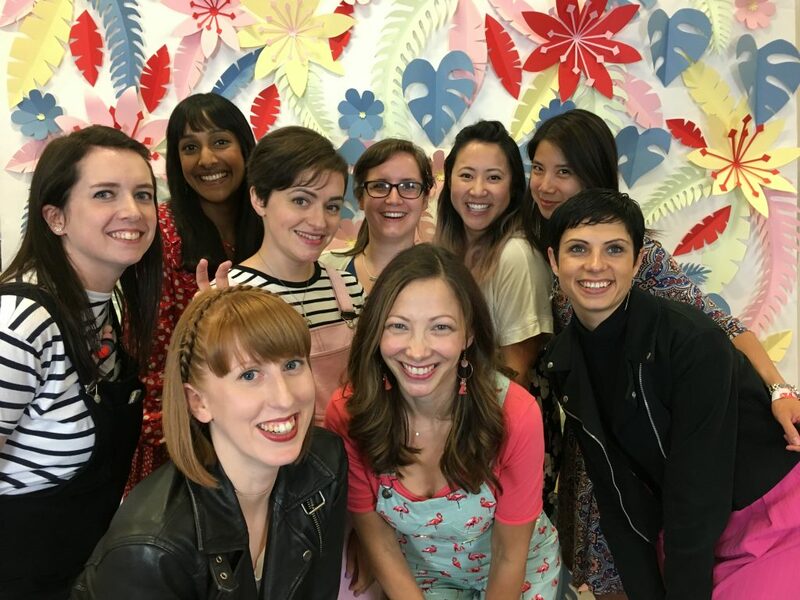 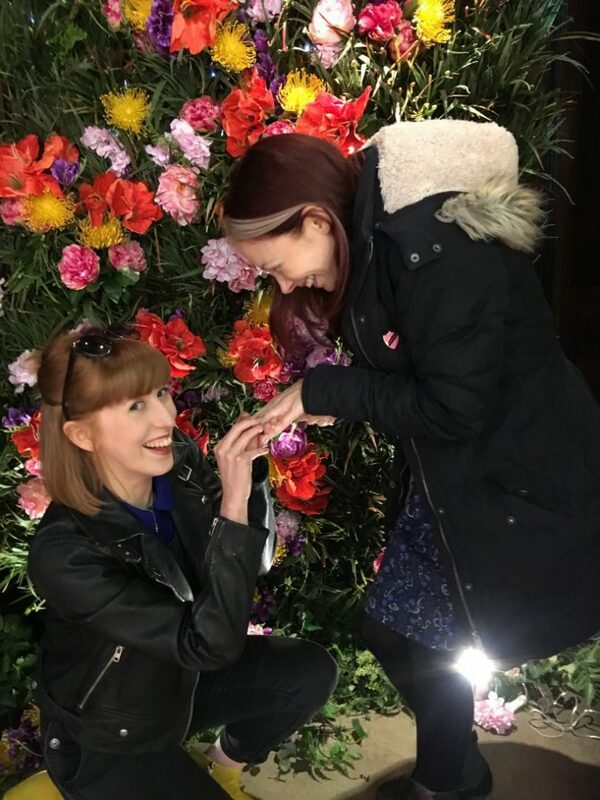 And on the Weekender front, a HUGE thank you once again to Rachel, Kate and Charlotte for such a lovely weekend and to all those who delivered talks and workshops for being so inspiring!